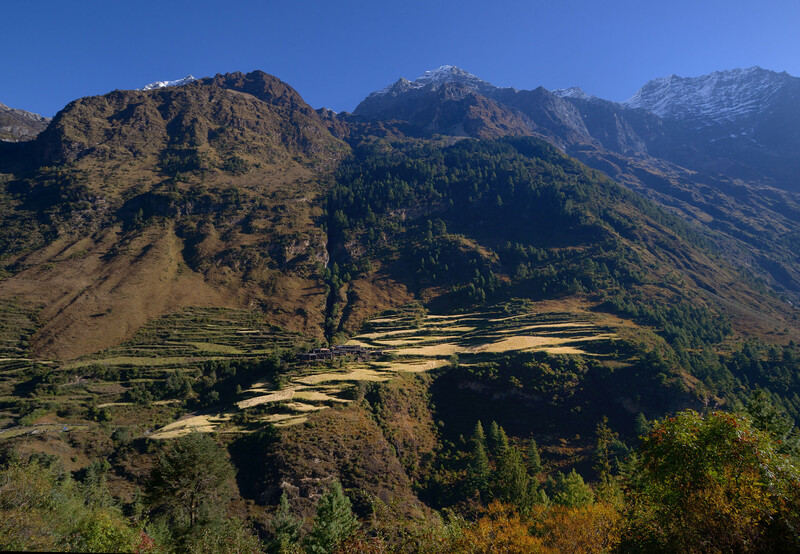 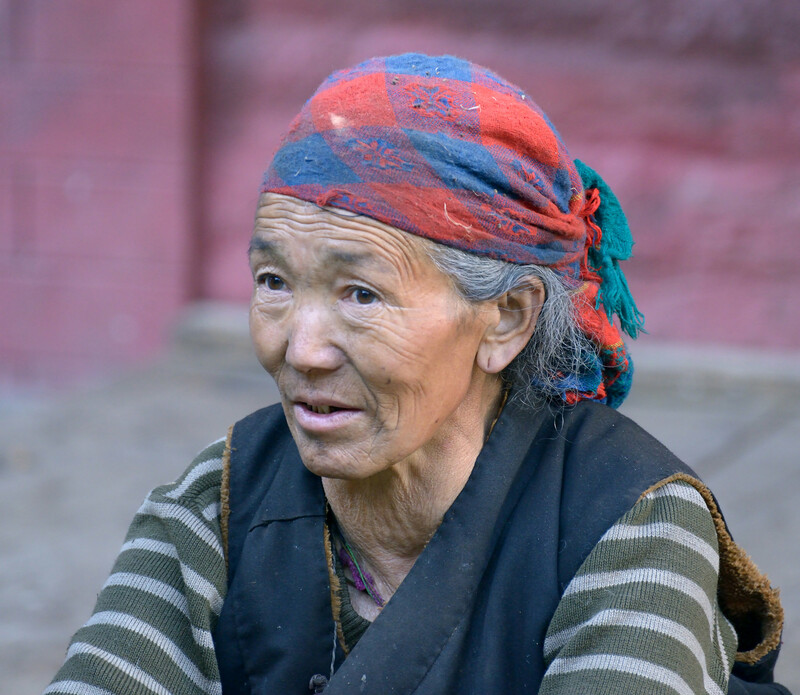 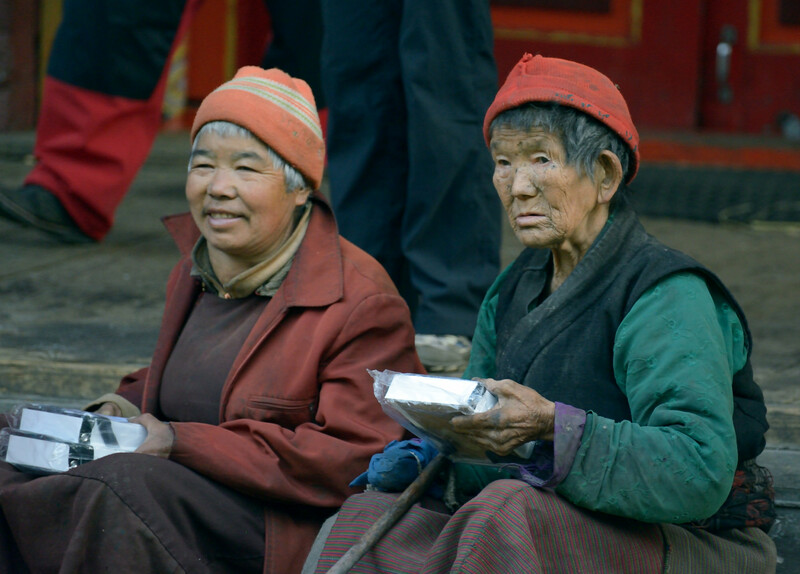 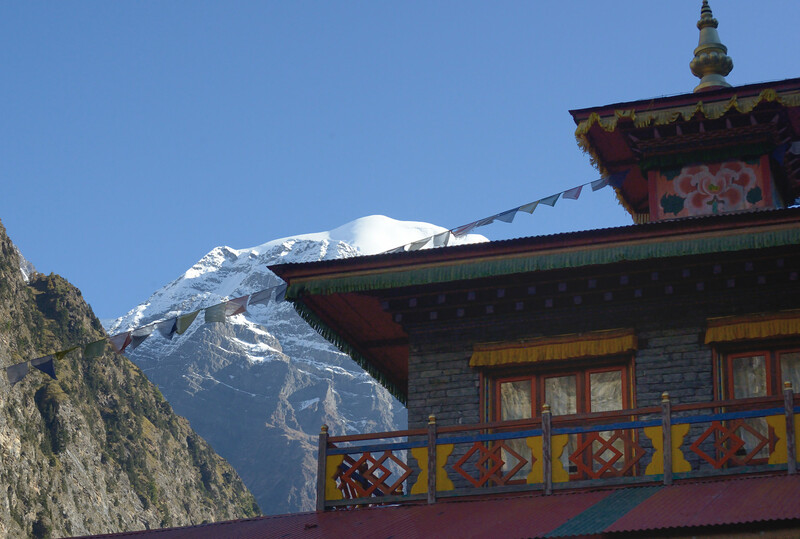 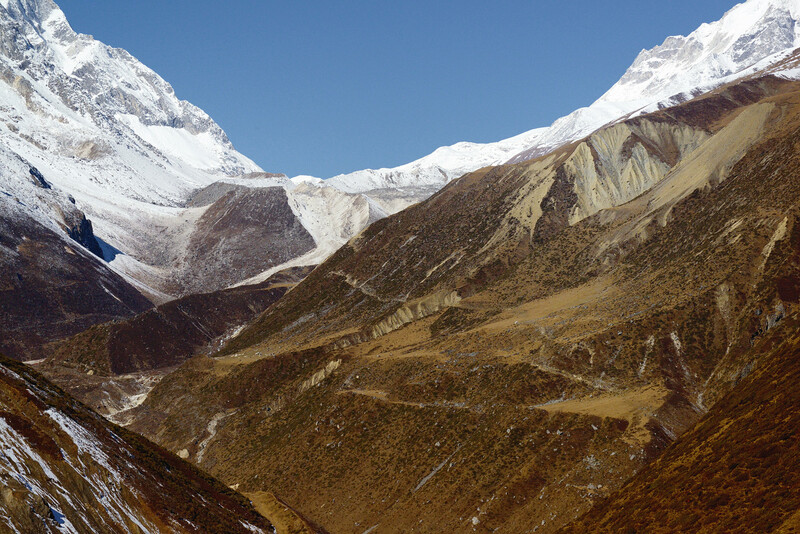 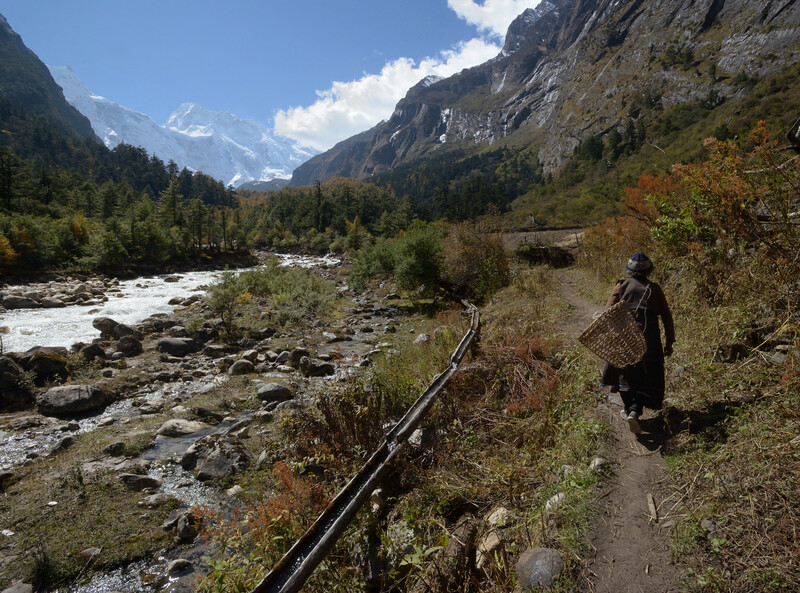 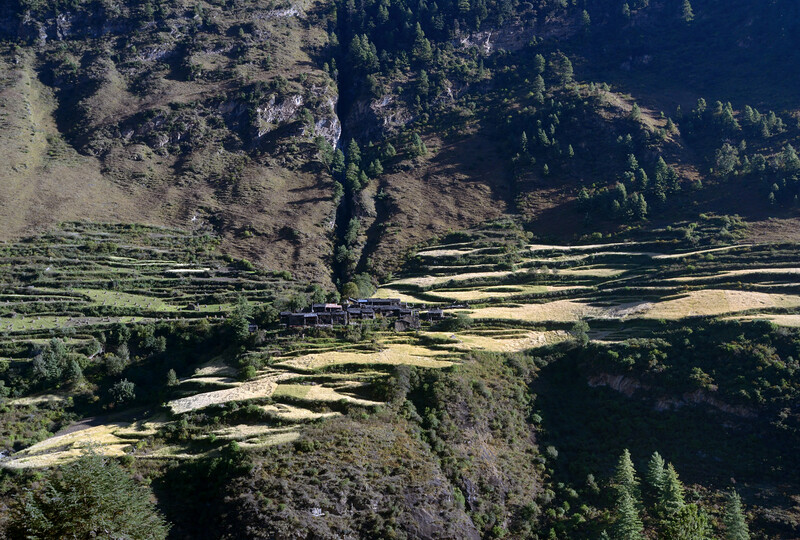 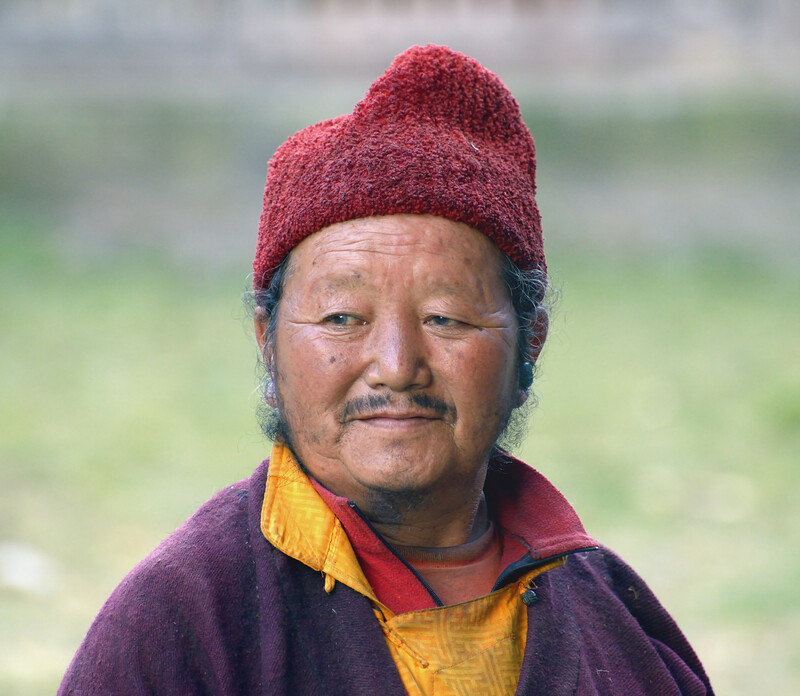 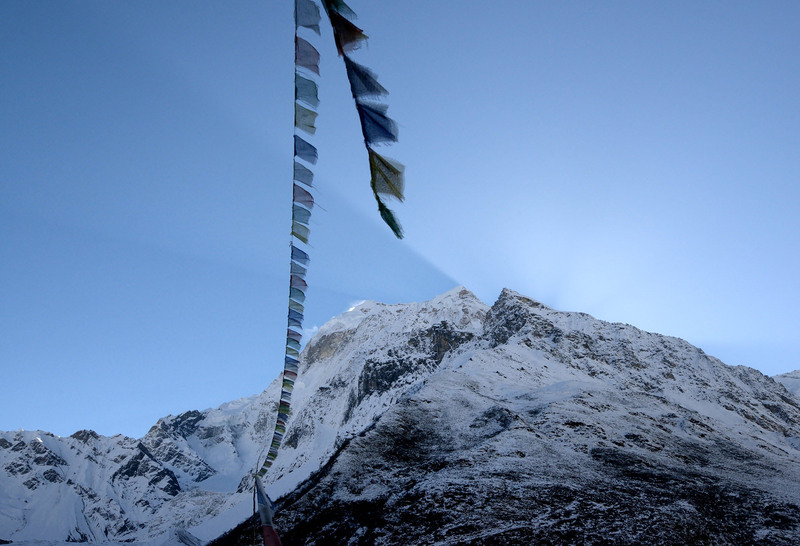 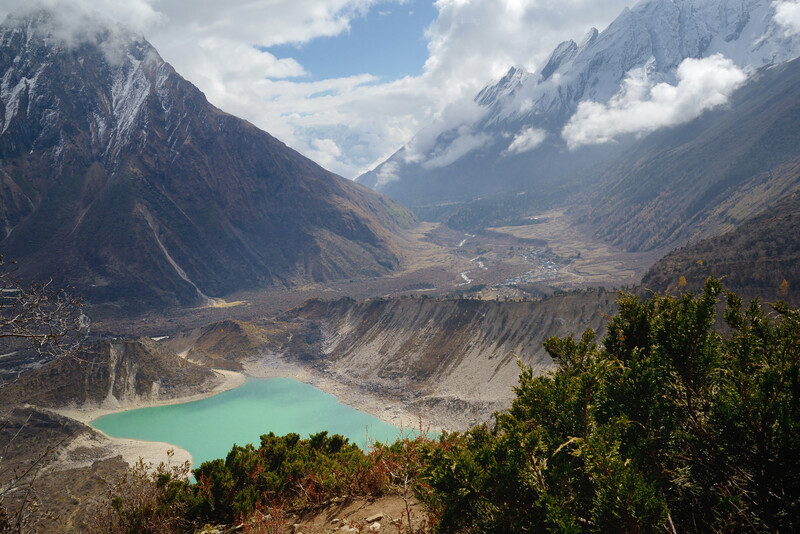 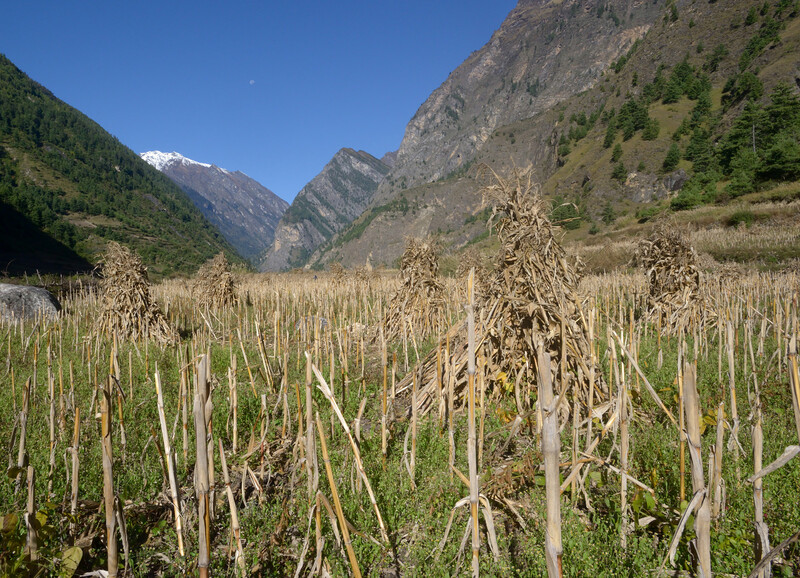 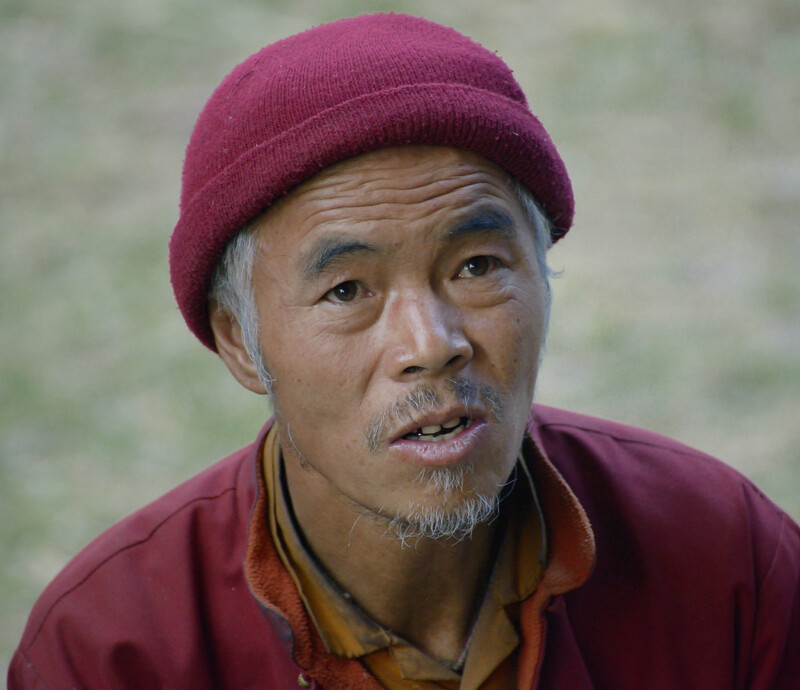 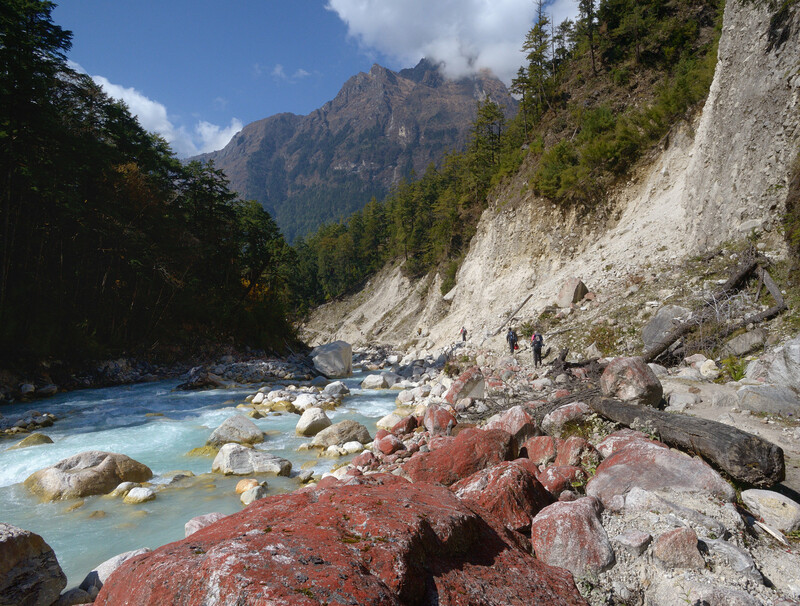 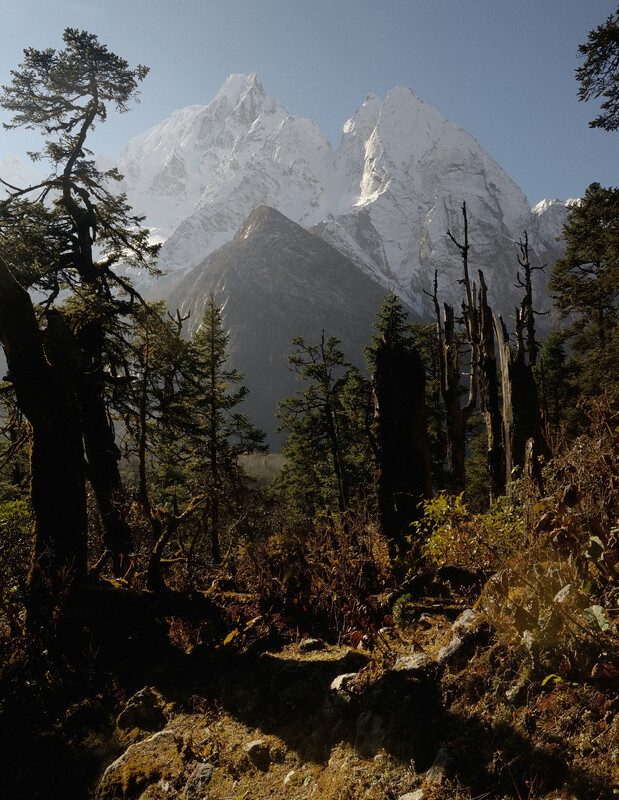 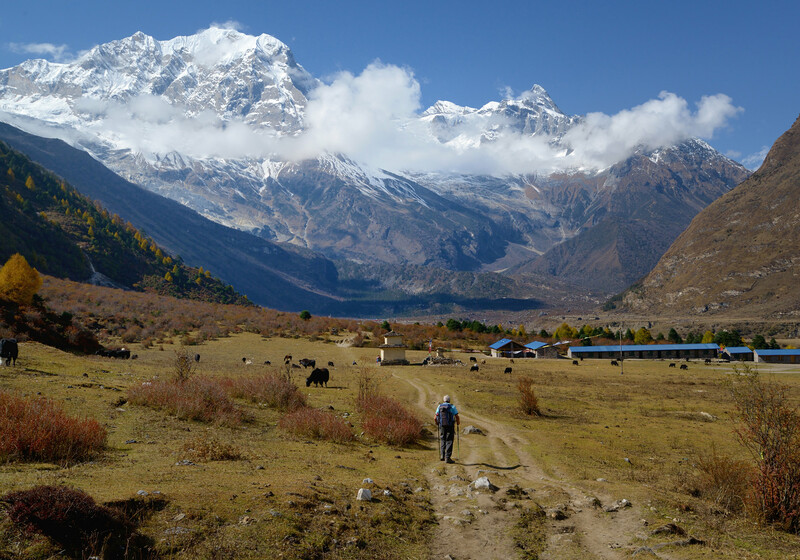 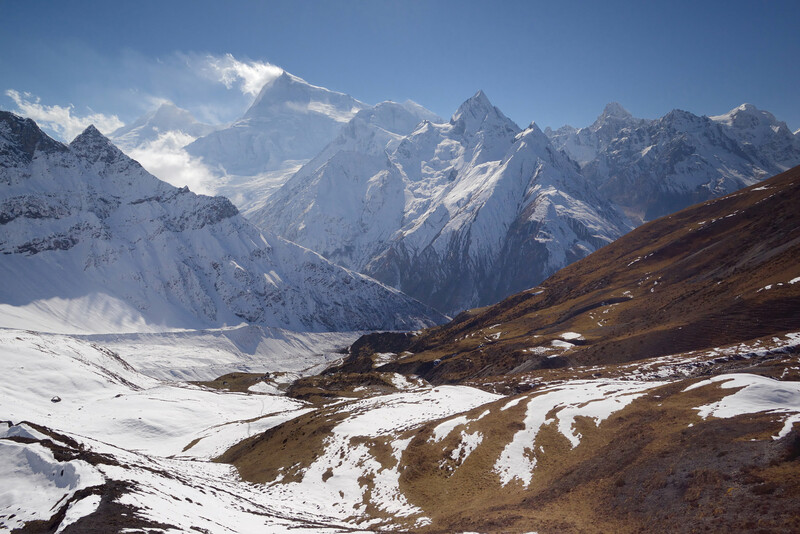 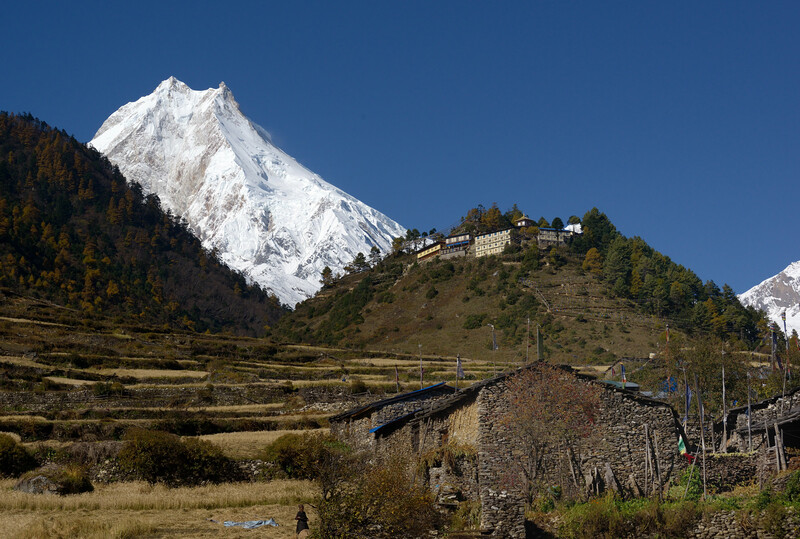 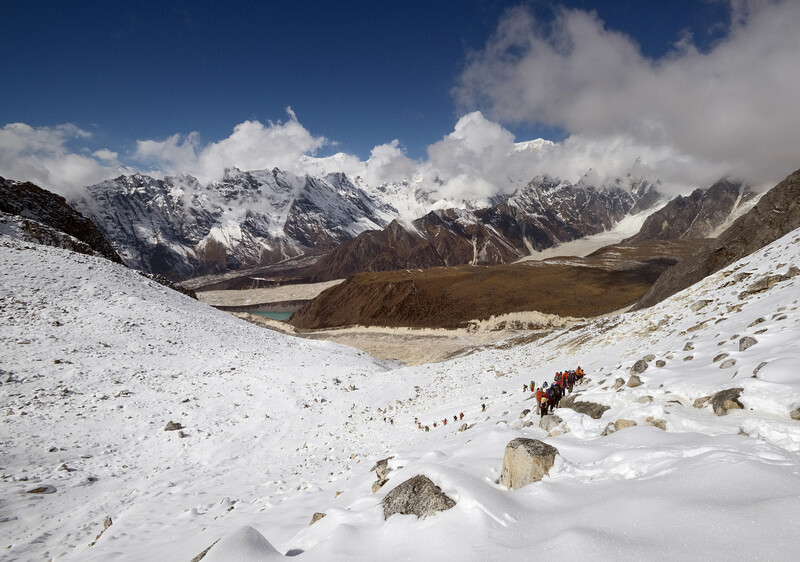 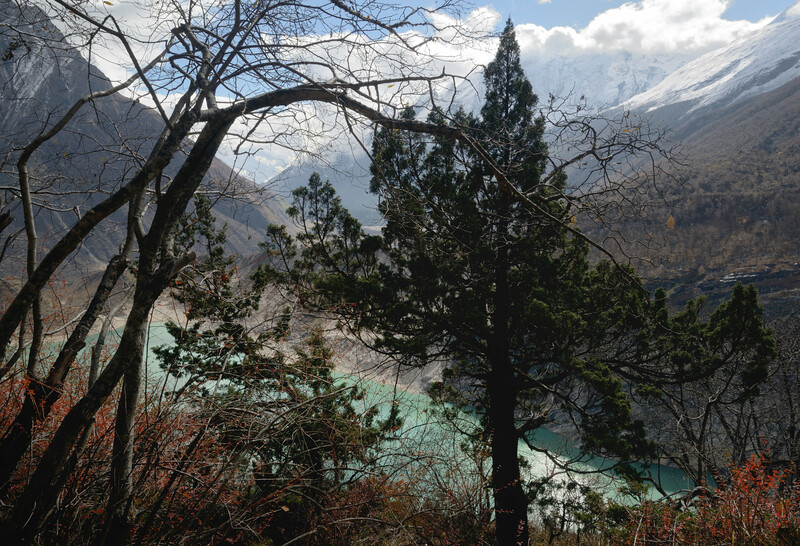 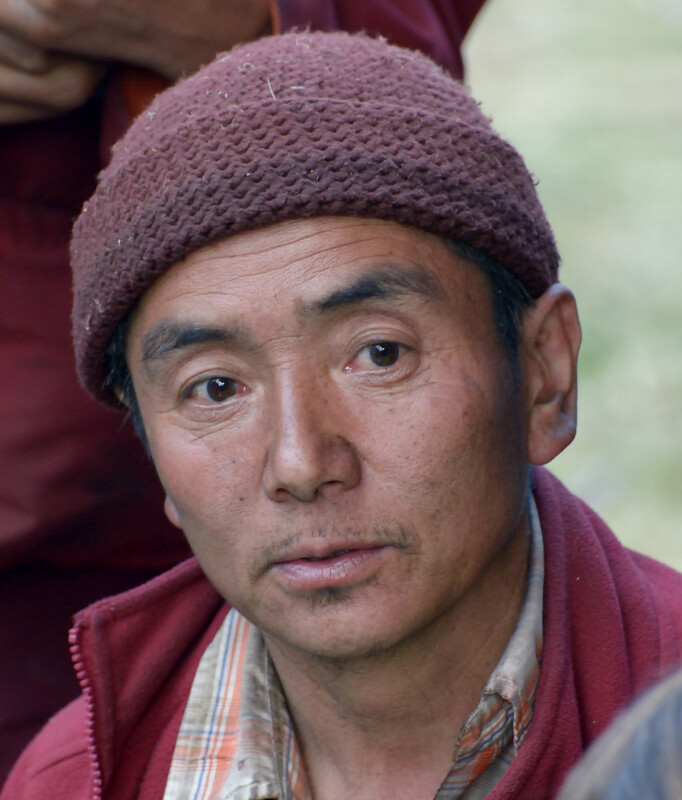 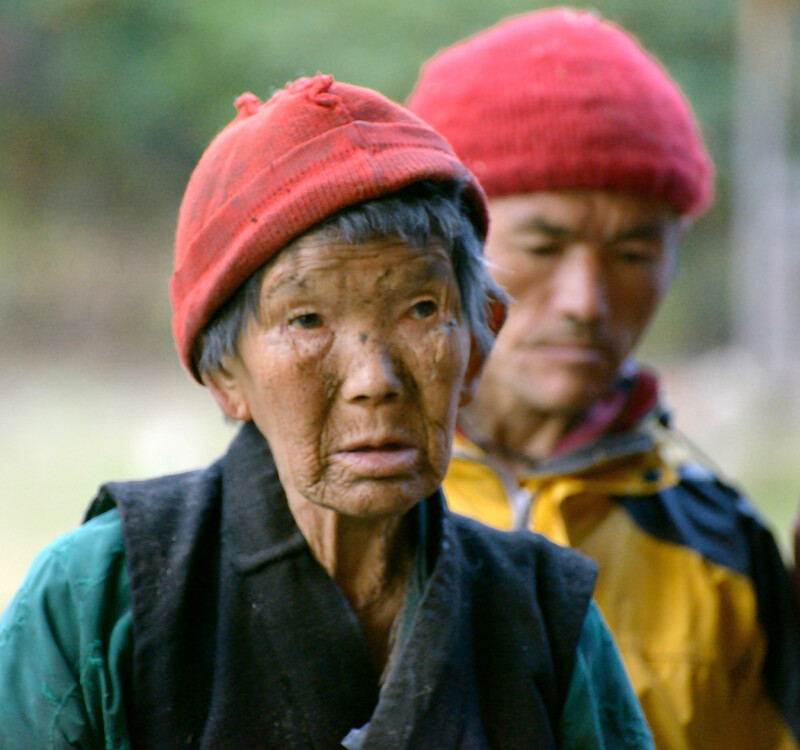 I had not planned to trek around Manaslu and was headed to Dolpo in autumn 2013. 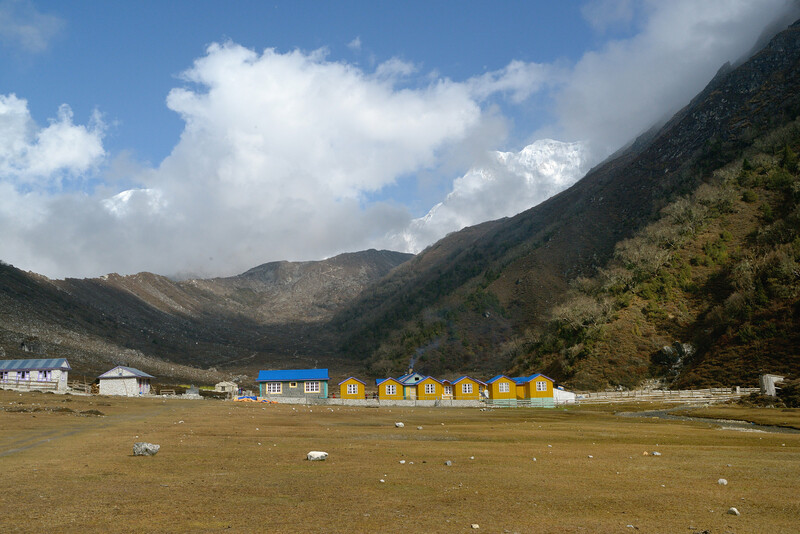 Unfortunately a large cyclone (Cyclone Phailin) hit South India on the 12th of October and spilled over all the way to western Nepal and we could not fly to the airfield of Juphal from Nepalgunj. 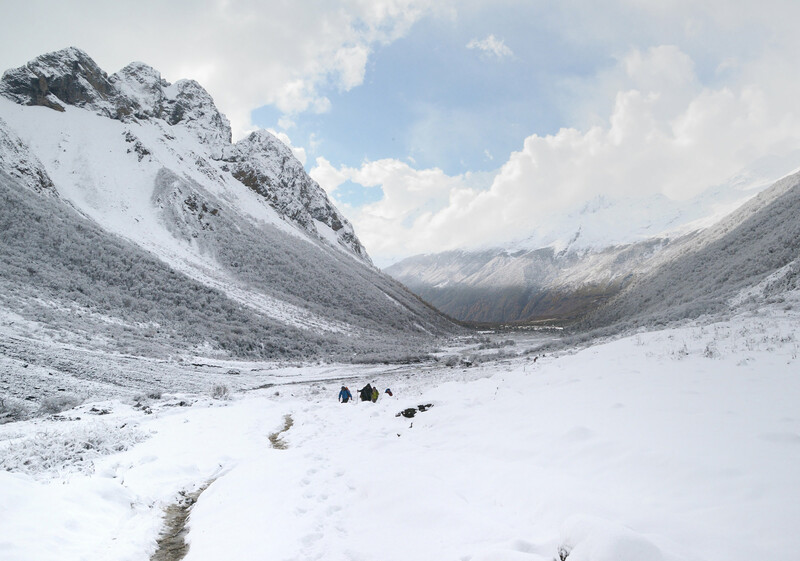 It's apparently a difficult airstrip at the best of time but as the weather conditions looked set to remain poor for many more days we decided to cut our losses and move on to an alternative trek that could be reached by road. 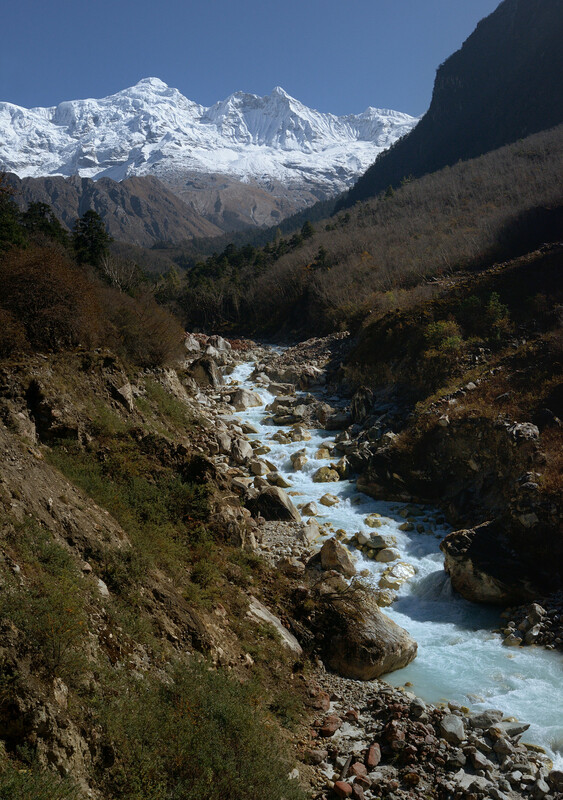 After a flight back to Kathmandu where we arranged for new permits to the Manaslu region we went by bus to Arughat where we started heading up the Budhi Gandaki valley hoping that the weather would settle enough to make a crossing of the Larkya La (and a completion of the Manaslu circuit) possible. 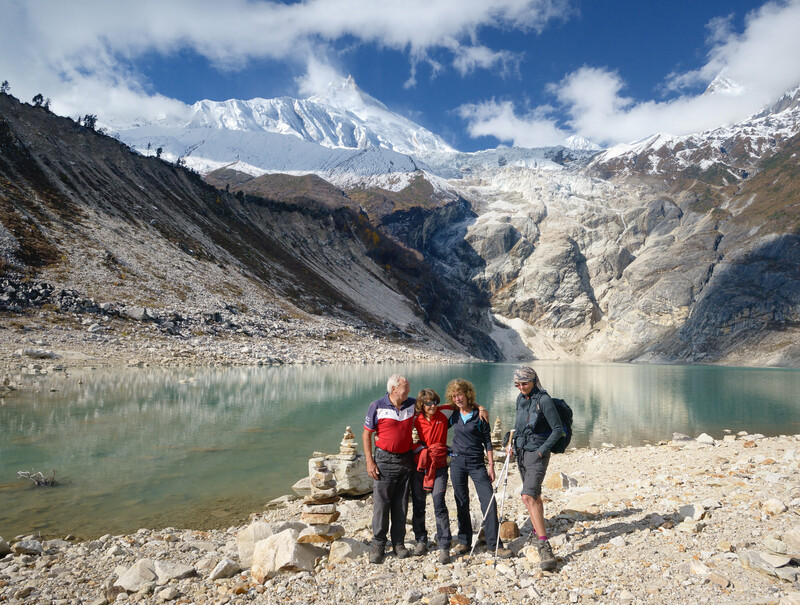 The Dolpo trek we had intended doing was much longer than the Manaslu Circuit so even with the time we had lost trying to fly to Juphal we had more time than necessary for a "standard" Manaslu Circuit trek and this allowed us to explore some of the side-valleys. 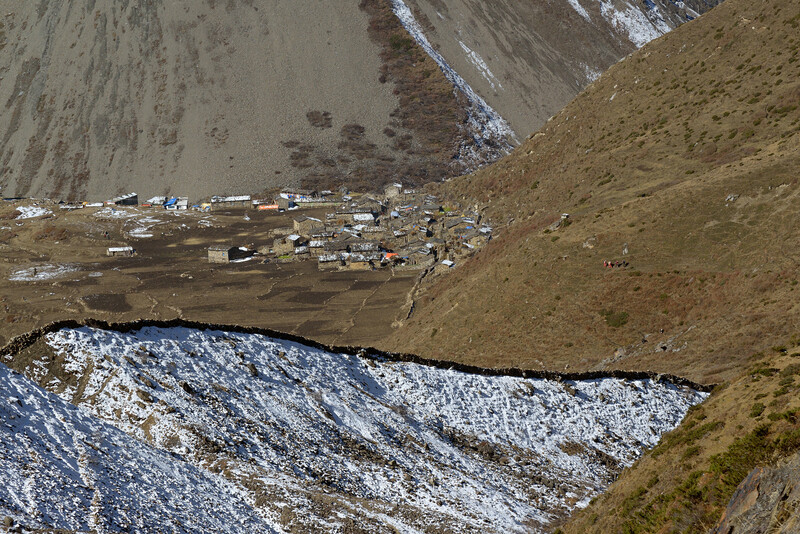 That's what partly made me decide not to show a day by day description of the trek (as in most other pages on this site). 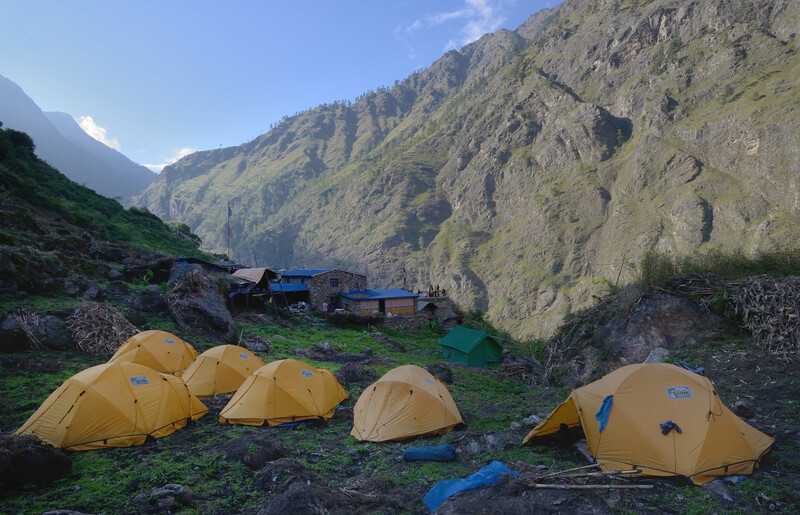 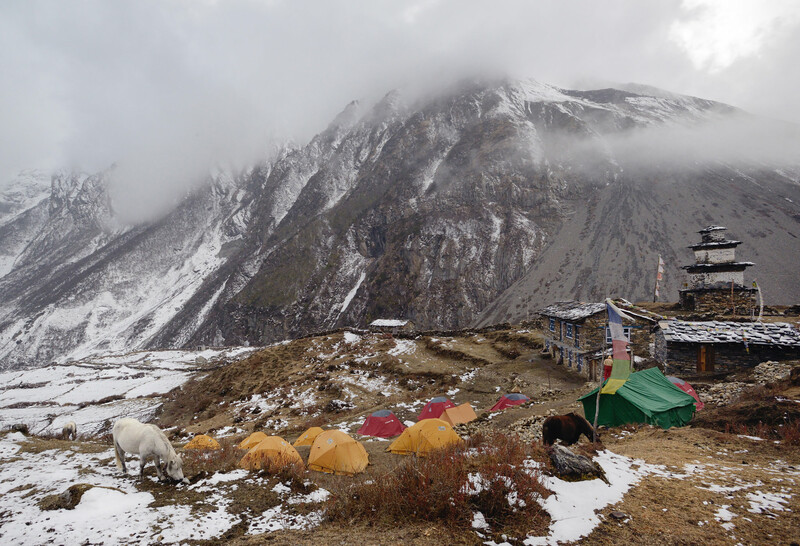 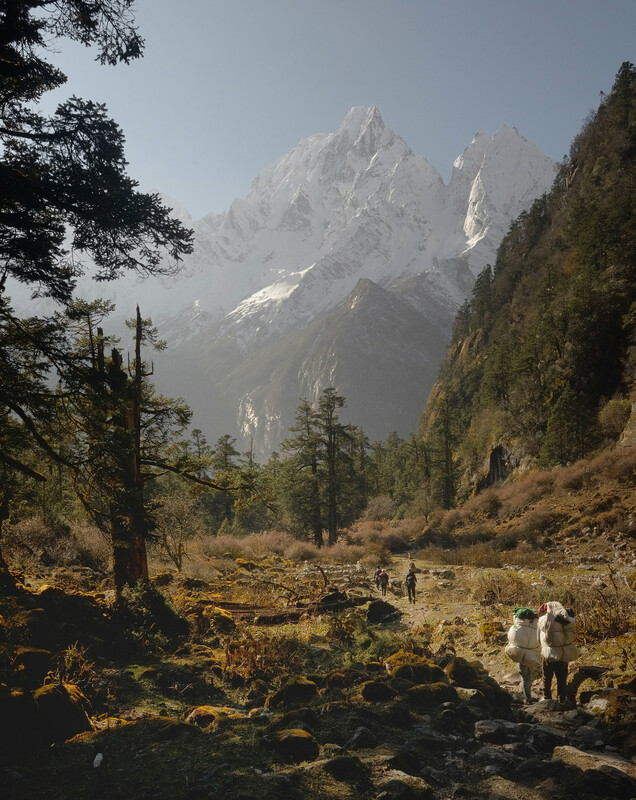 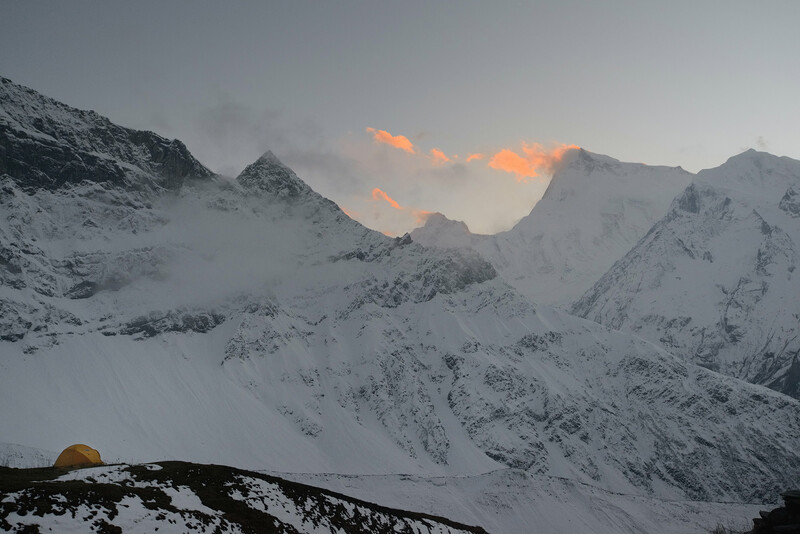 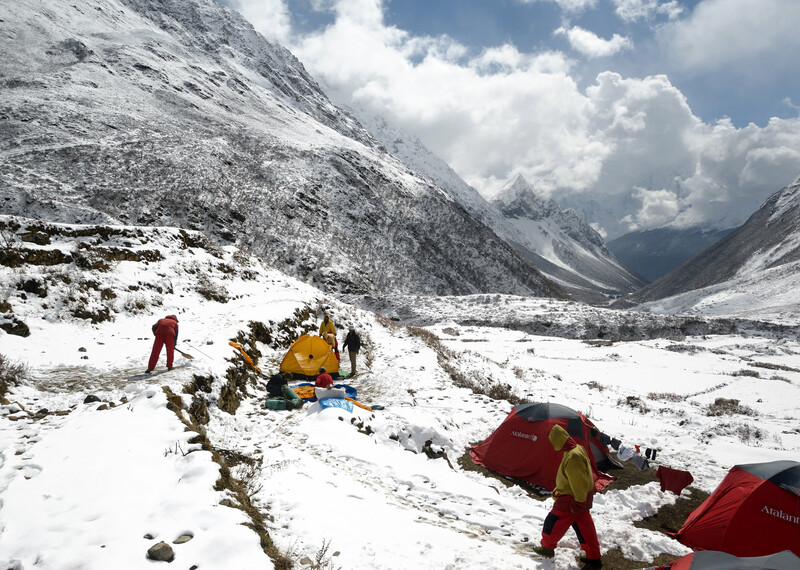 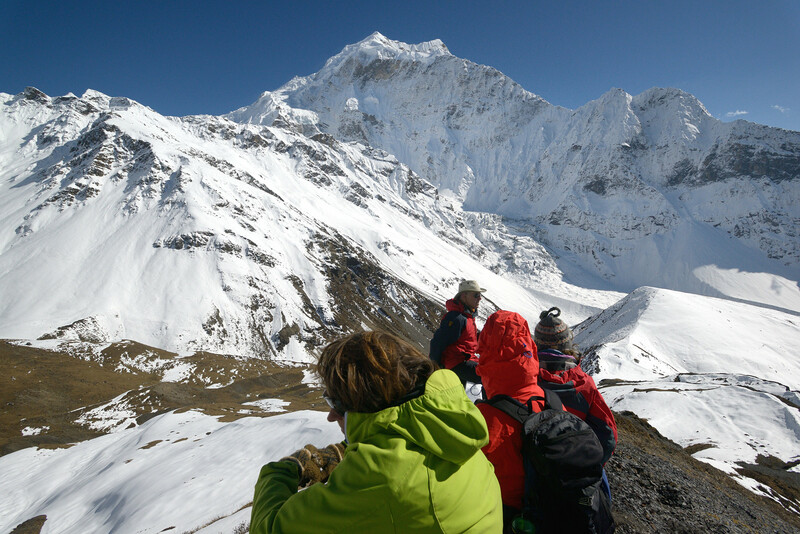 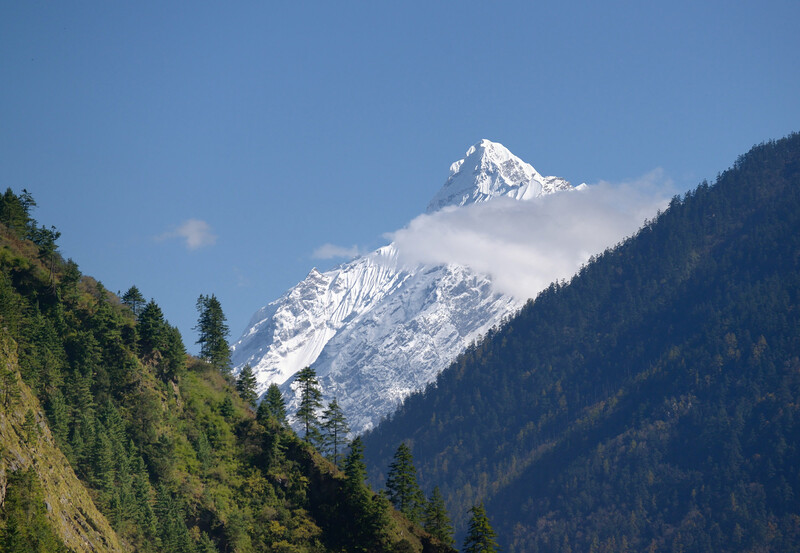 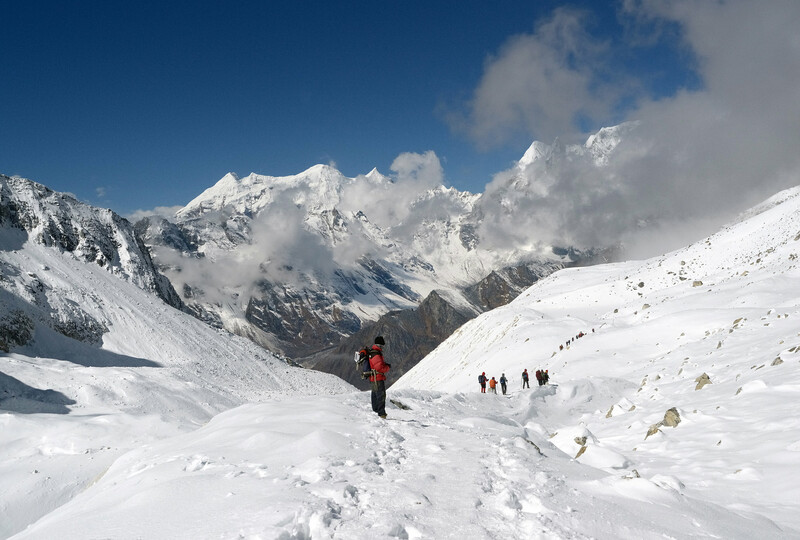 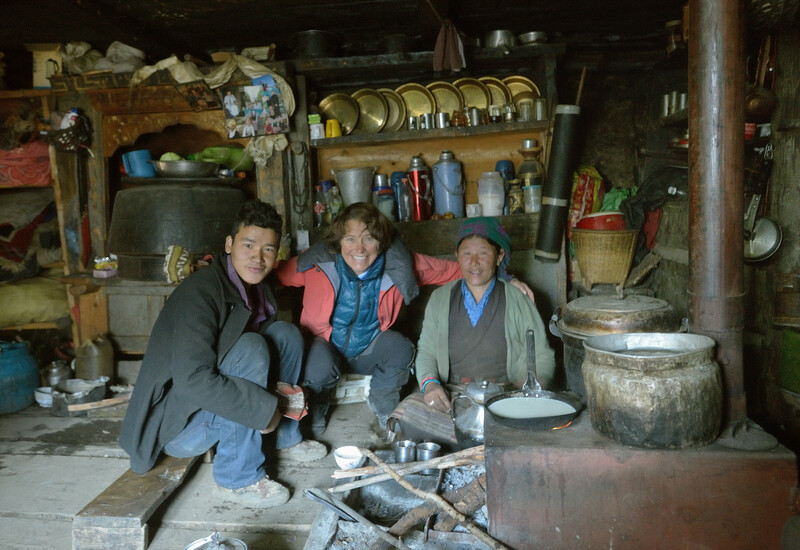 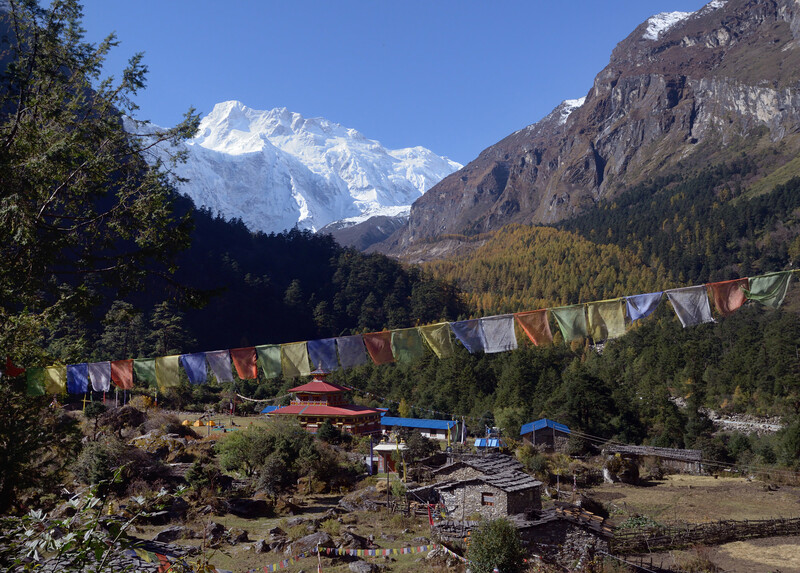 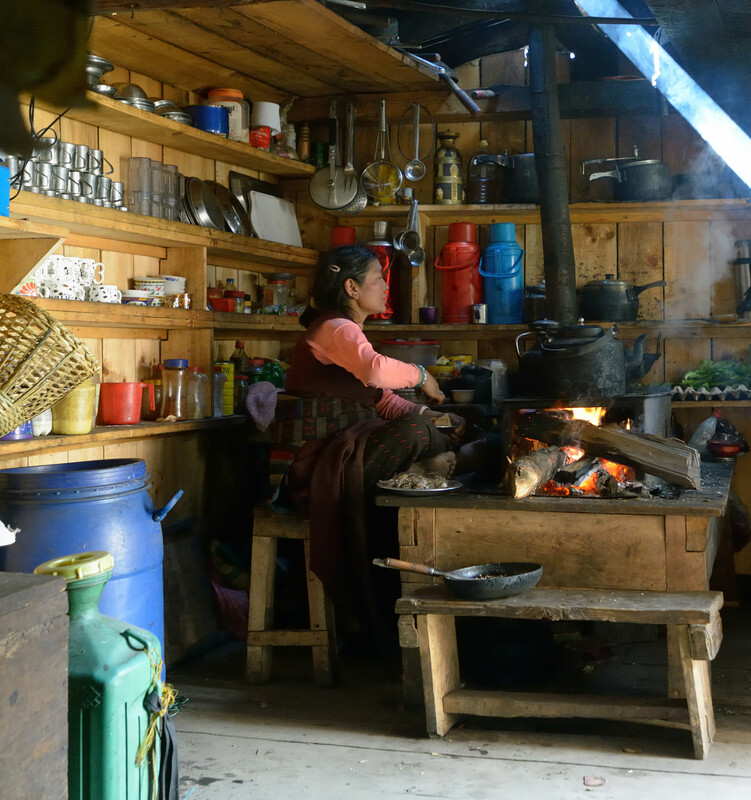 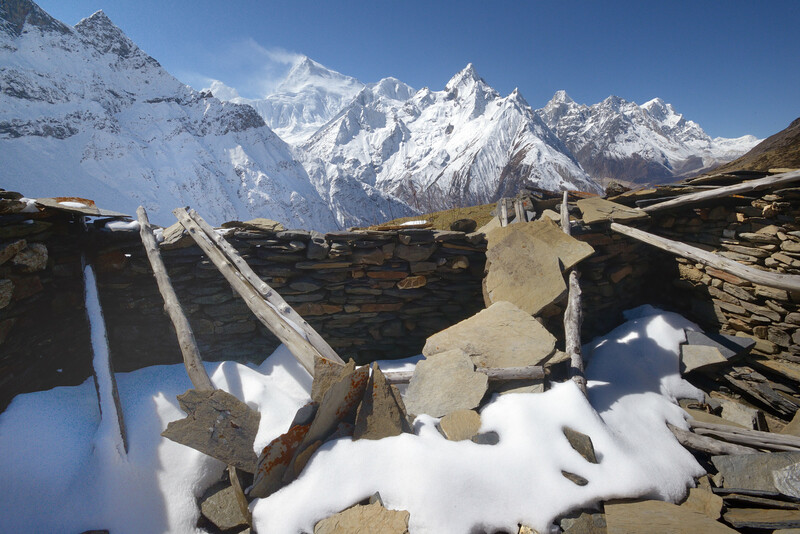 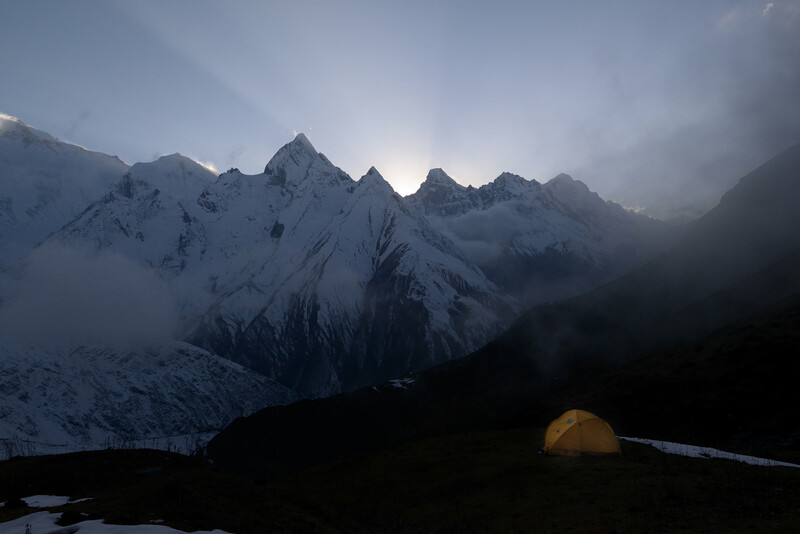 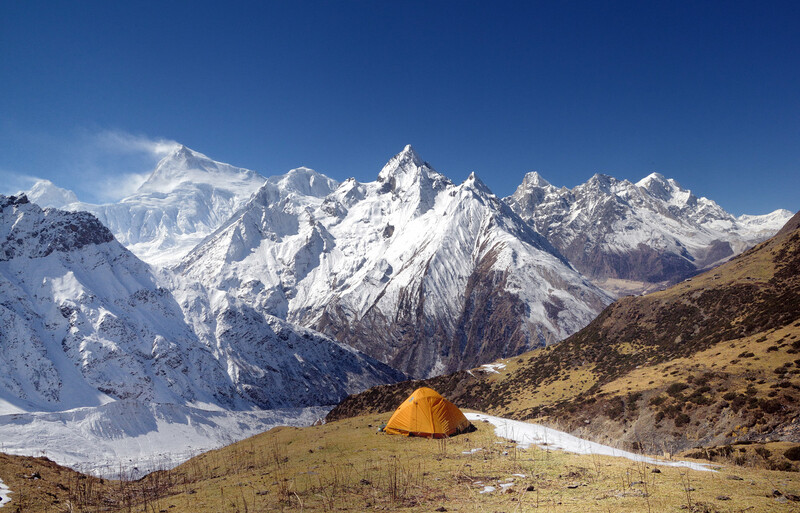 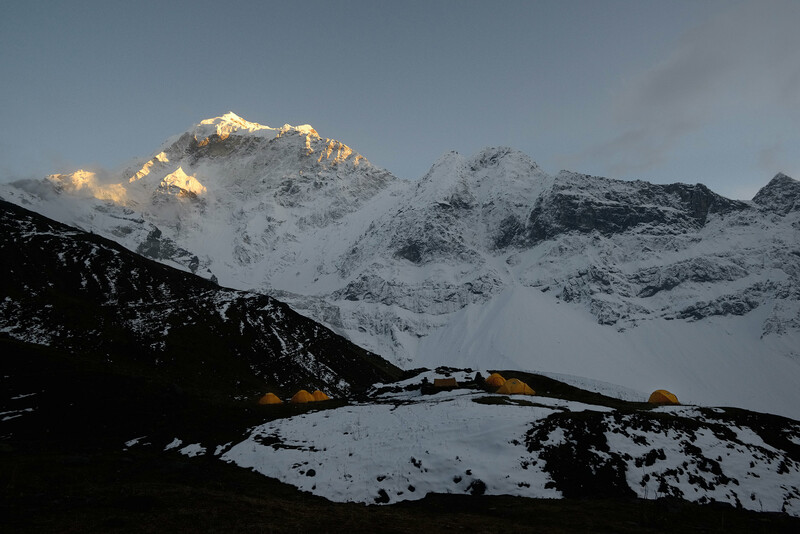 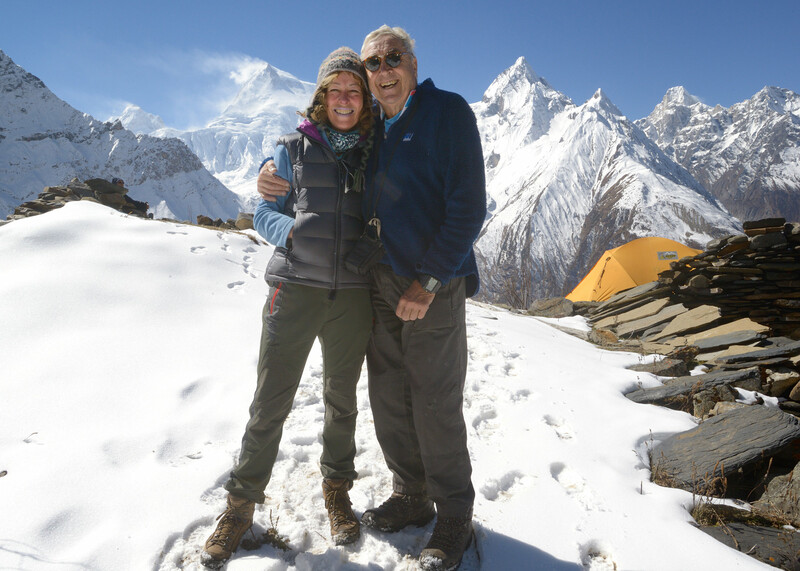 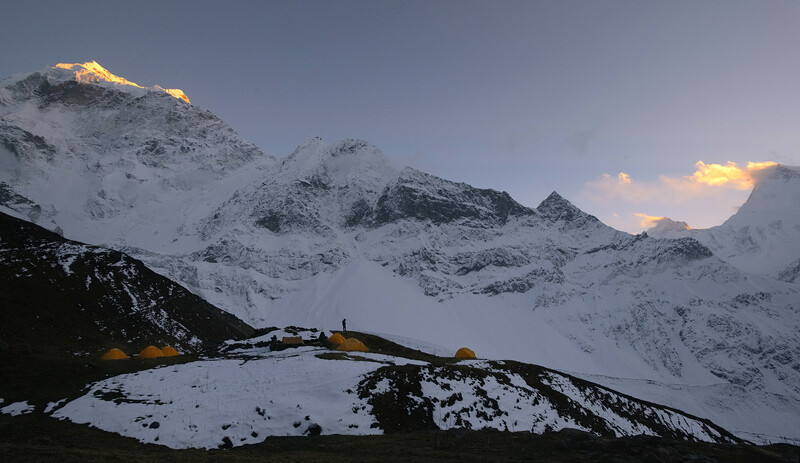 The other reason to avoid describing the trek in too much detail is that the conditions on the Manaslu circuit trek are changing very rapidly: a couple of years ago the rules requiring groups to carry their camping gear were lifted. 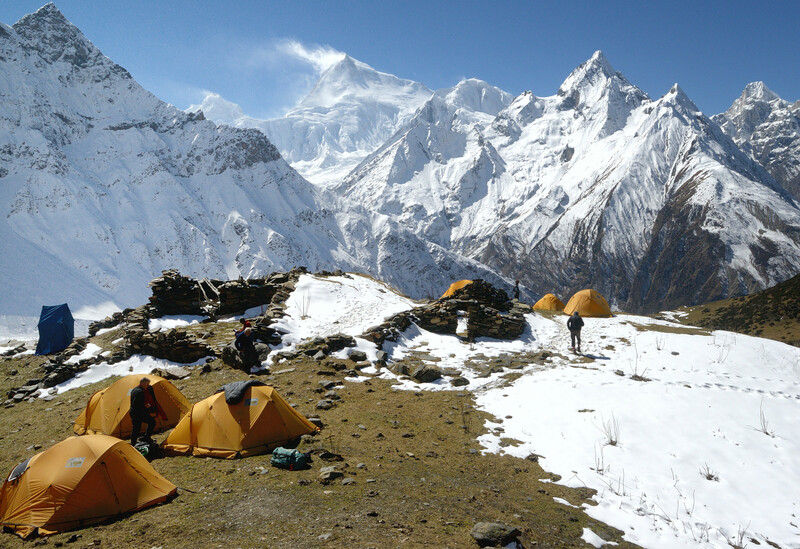 It became possible for individuals to trek using lodges. 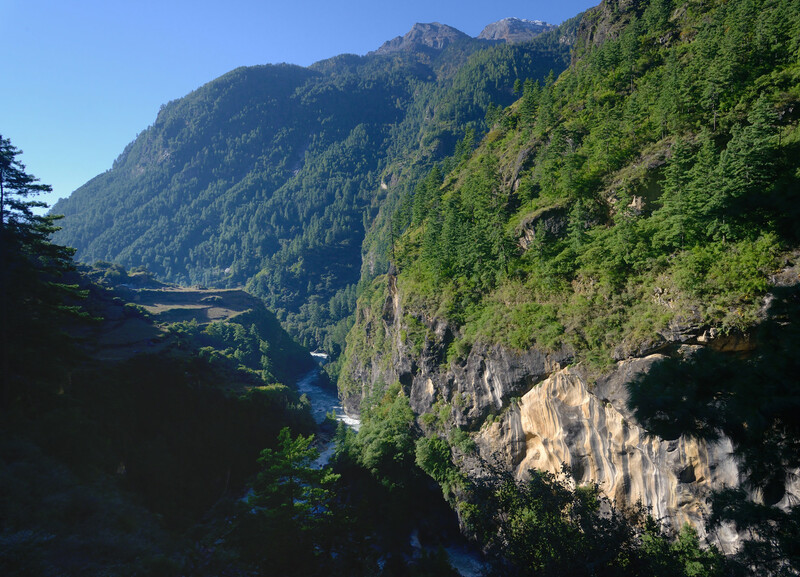 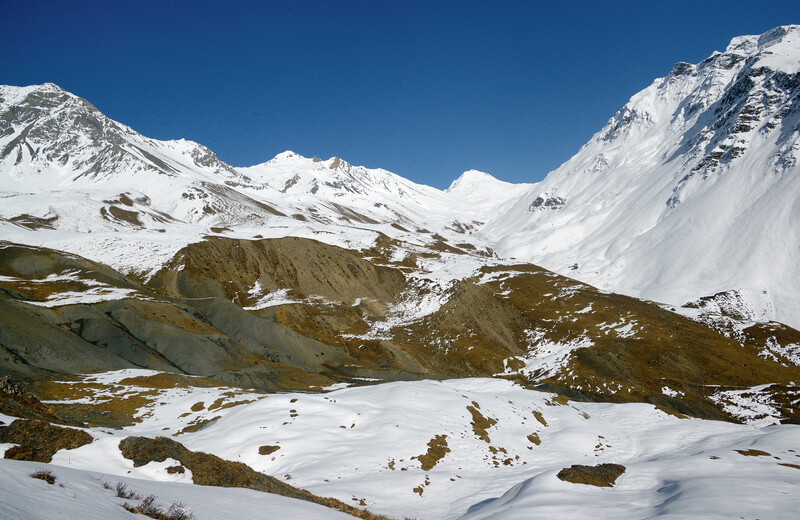 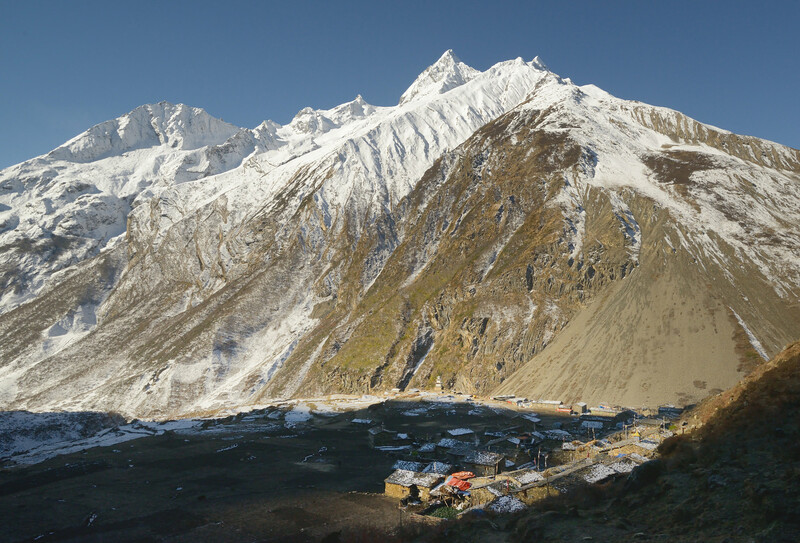 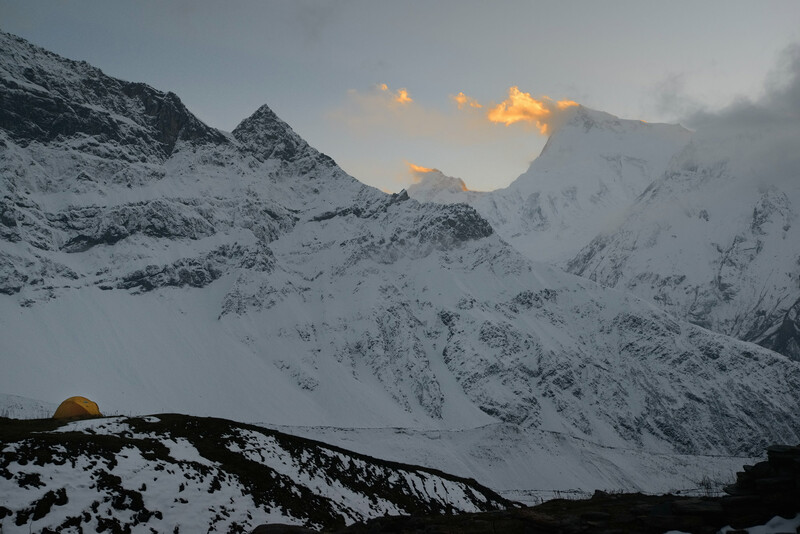 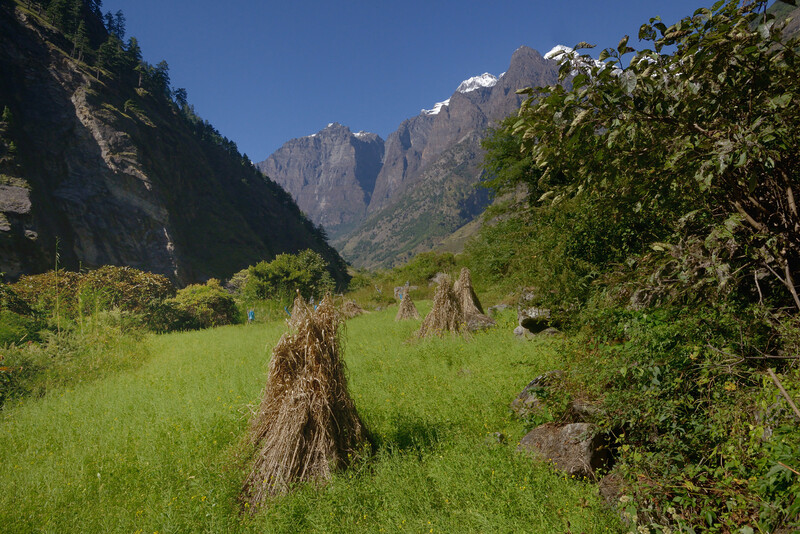 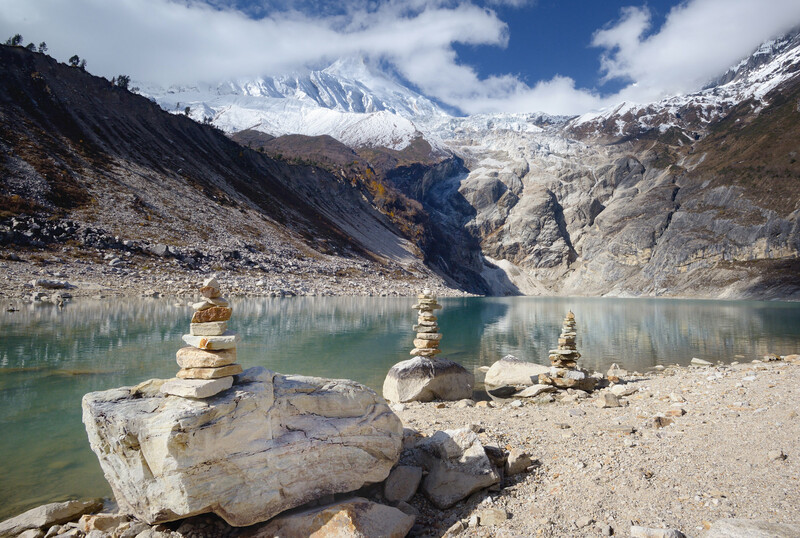 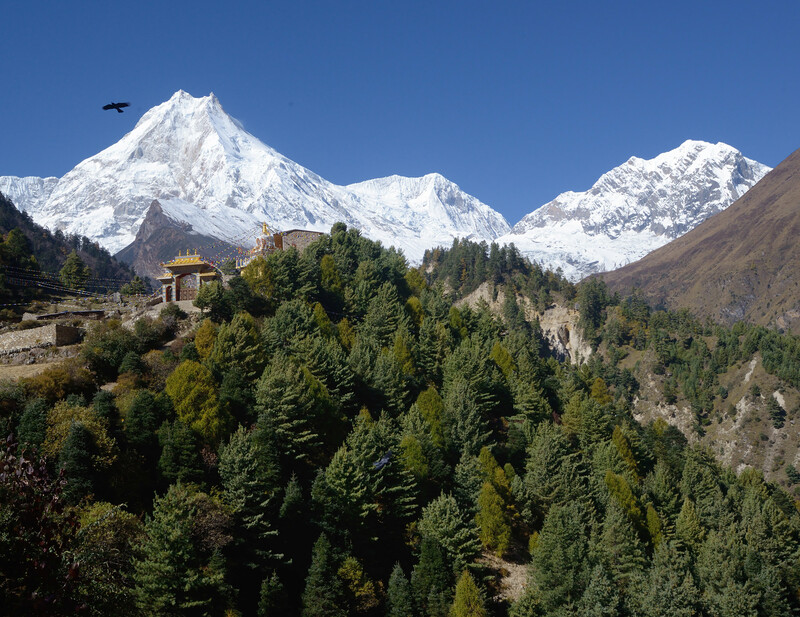 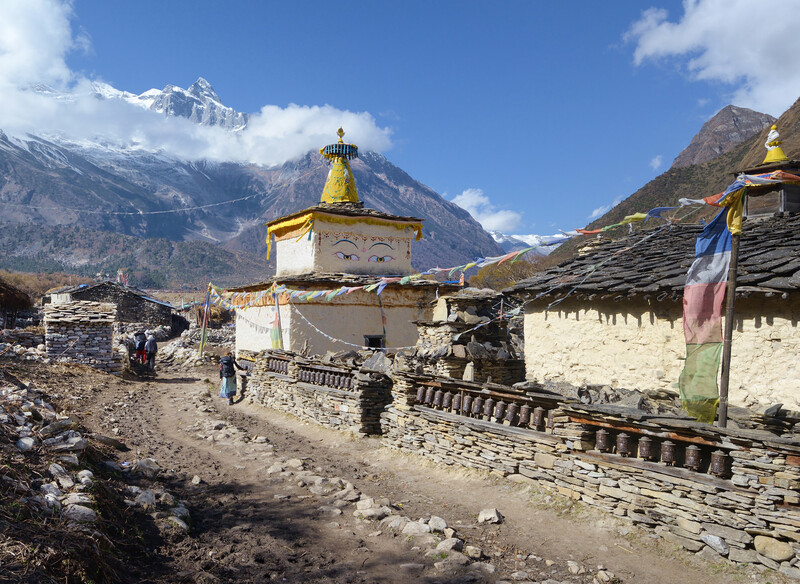 More and more people want to avoid the Annapurna Circuit (because of the roads that have been built there that make trekking less pleasant and sometimes pointless) and they seem to have shifted their attention to the neighbouring Manaslu Circuit. 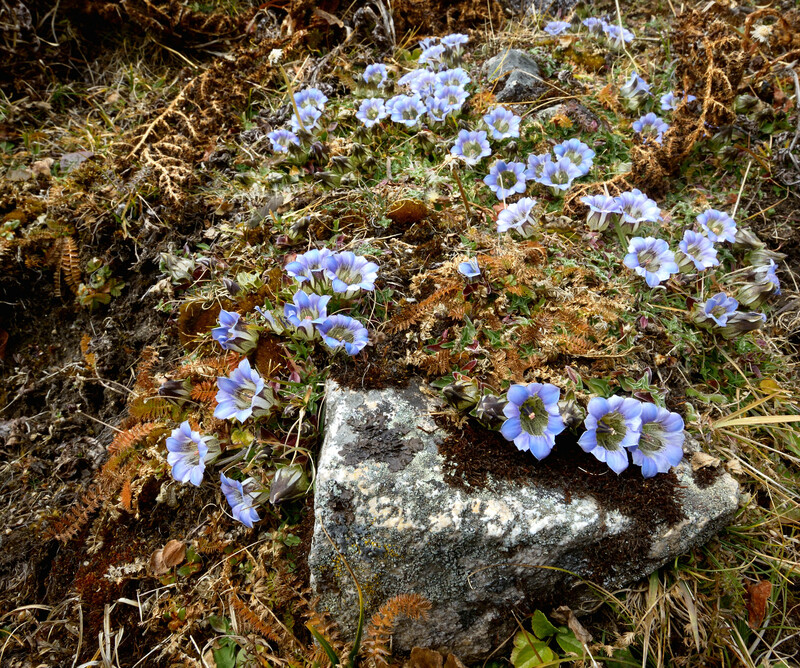 The result of this rise in interest is that lodges are sprouting everywhere. 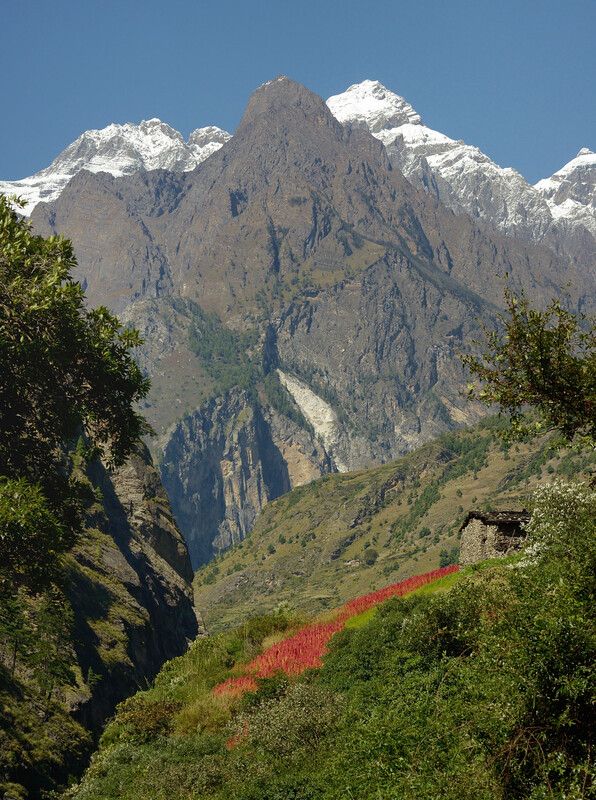 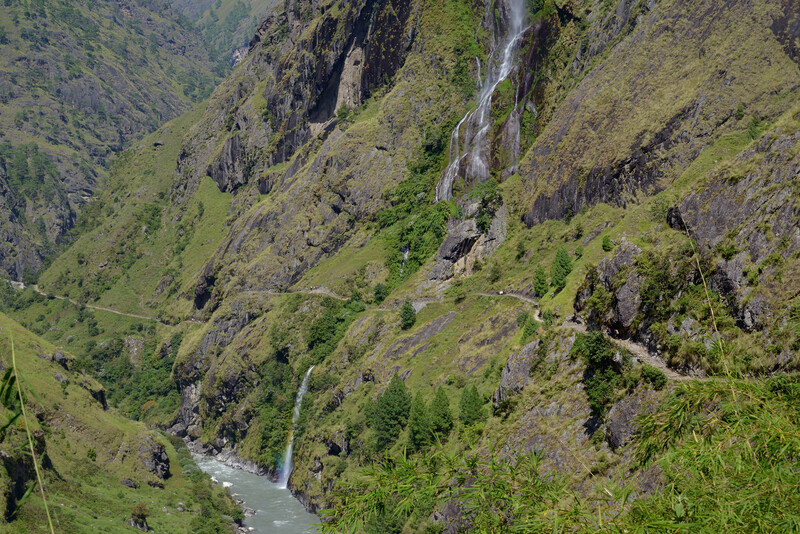 I guess that in only a few years the Manaslu Circuit will be as developed and popular as the Annapurna Circuit. 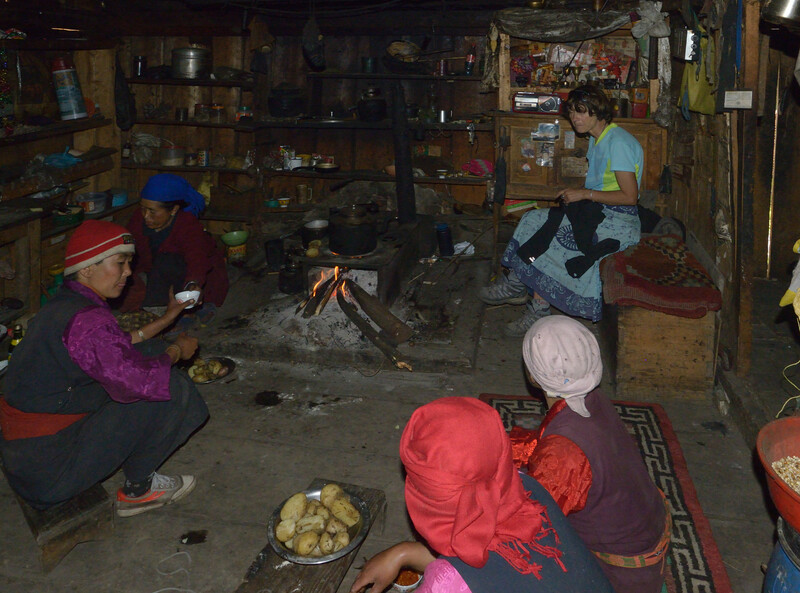 For some reason (maybe the unsettled weather) we didn't notice many people on the trek until shortly before arriving at the Larkya La (in a place located at the foot of the Larkya La called Dharamsala - it can easily compete with Lobuche as one of the worst shitholes that I've seen in Nepal). 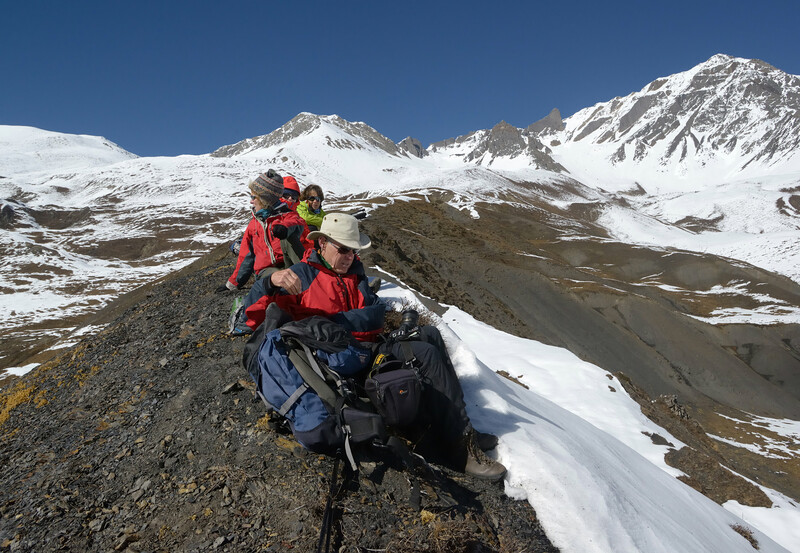 And on the day of the Larkya La crossing I counted well above 50 trekkers making their way across the pass. 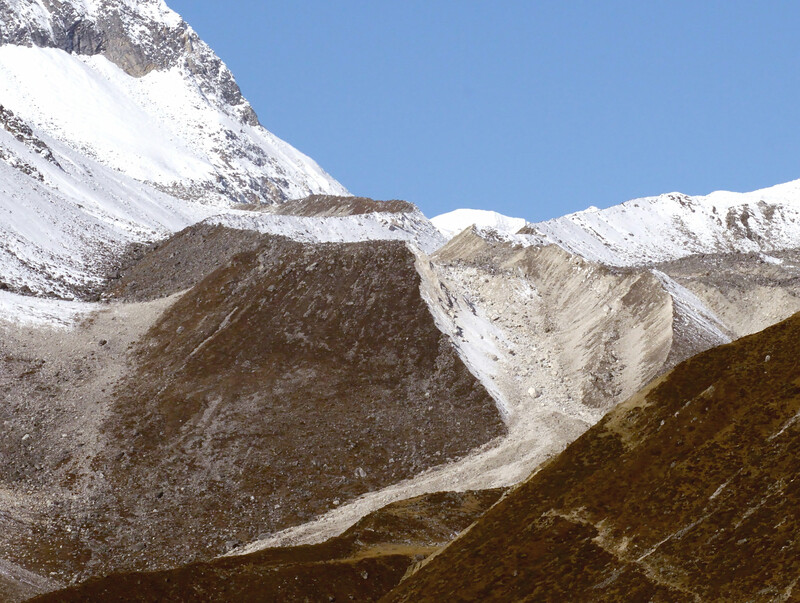 That's maybe still lower than numbers across the Thorong La but we are getting there. 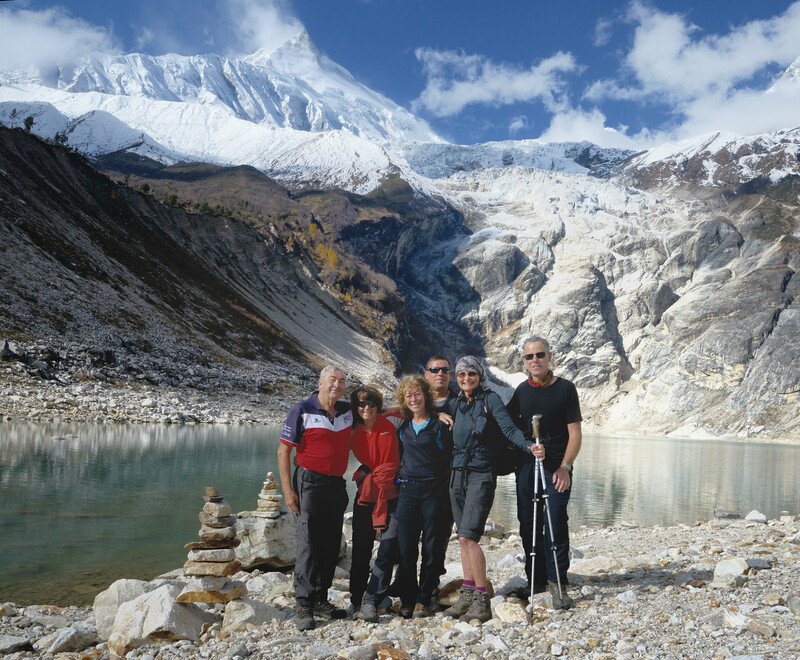 So instead of a page by page account you'll find a lightbox of selected photos - impressions of a trek - with short descriptive titles. 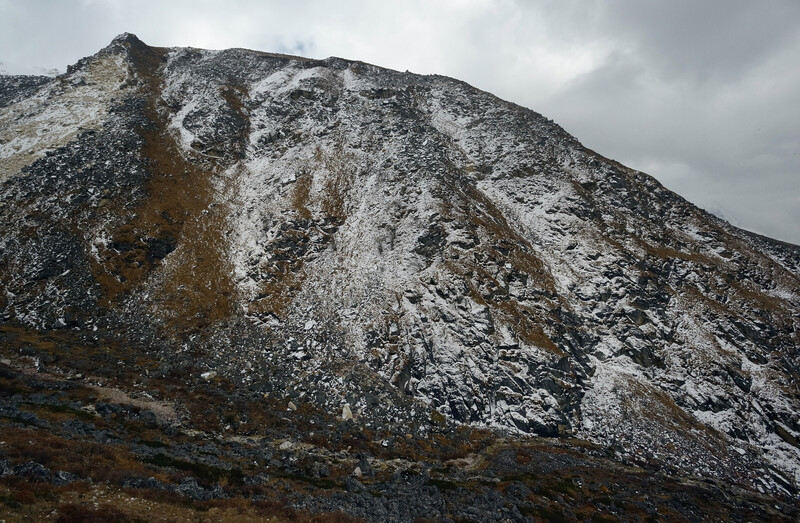 The photos are roughly in chronological order. 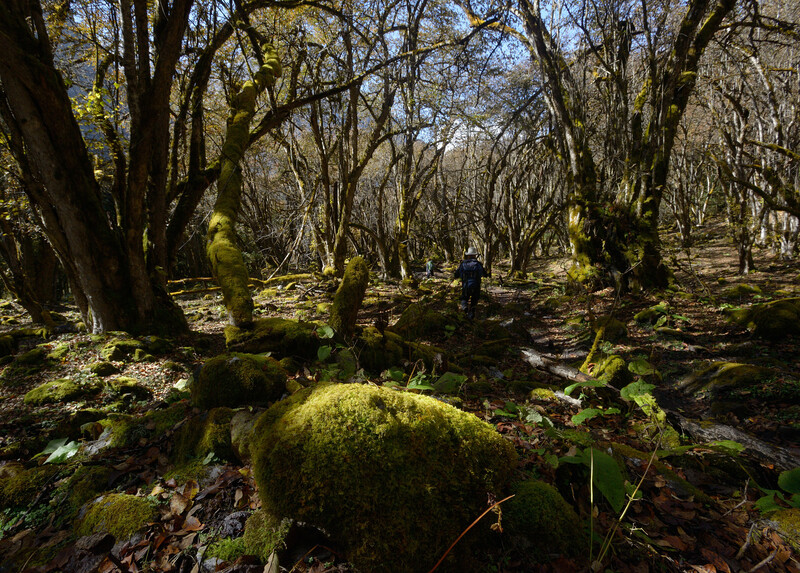 Navigation is pretty self-explanatory but note that you can enlarge the individual photos by clicking on the magnifying glass sign in the navigation located at the bottom of the open picture. 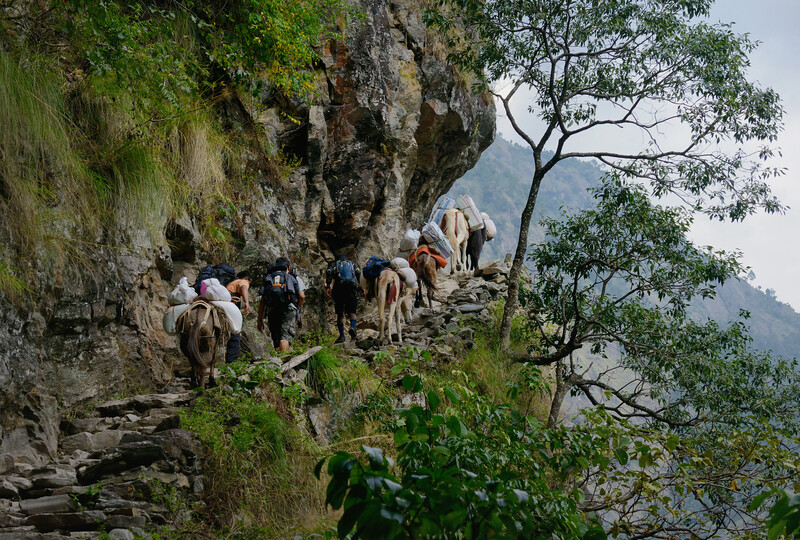 mules on the track (1st and 2nd photo): there are still plenty of mule caravans, unlike the Annapurna Circuit where they have been replaced by cars and trucks. 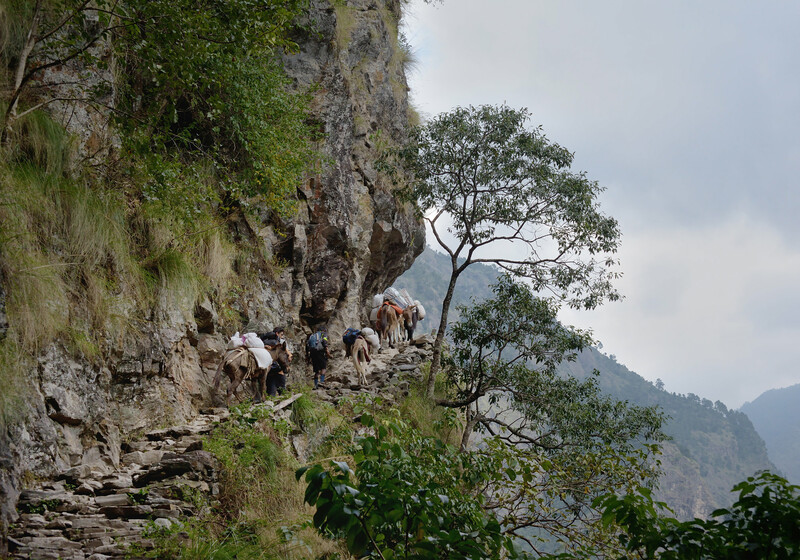 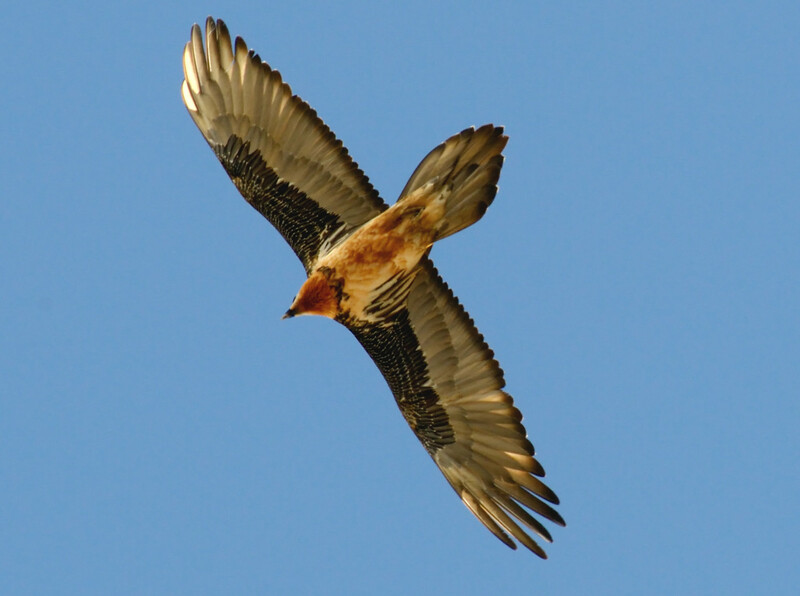 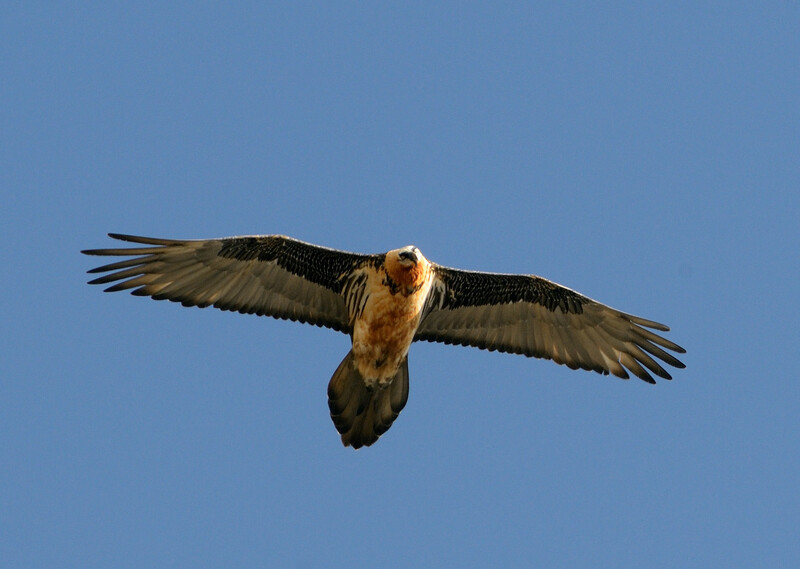 Meeting them on steep parts is very dangerous if you stay to the outside of the path. 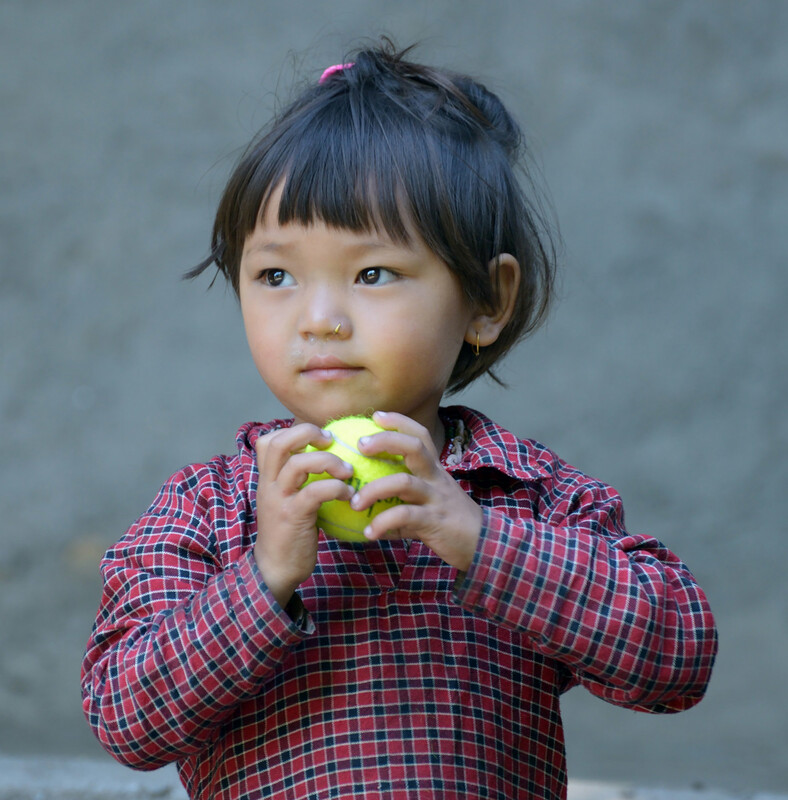 the girl with the tennis ball (3rd photo): a member of our group had a whole bunch of tennis balls with him and gave them away to children. 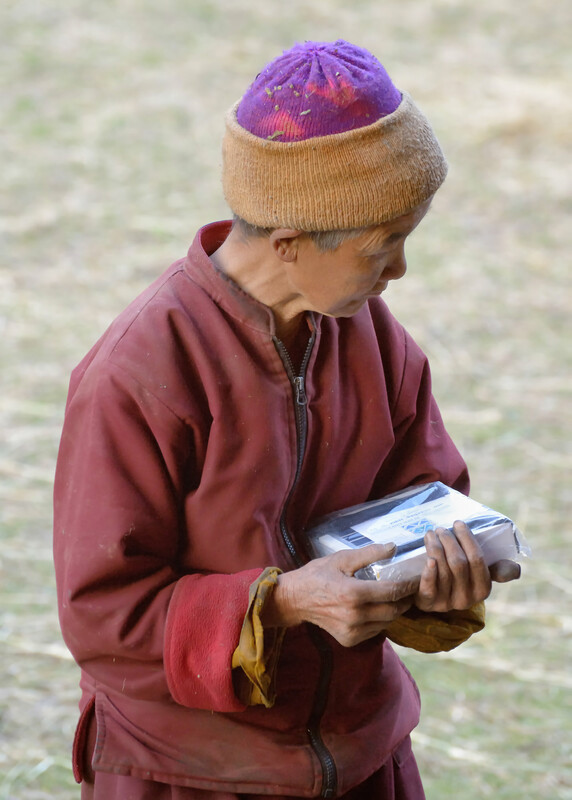 A great idea, much more durable than balloons, healthier than sweets and cheap (he got his local tennis club in the UK to donate slightly used ones for this purpose). 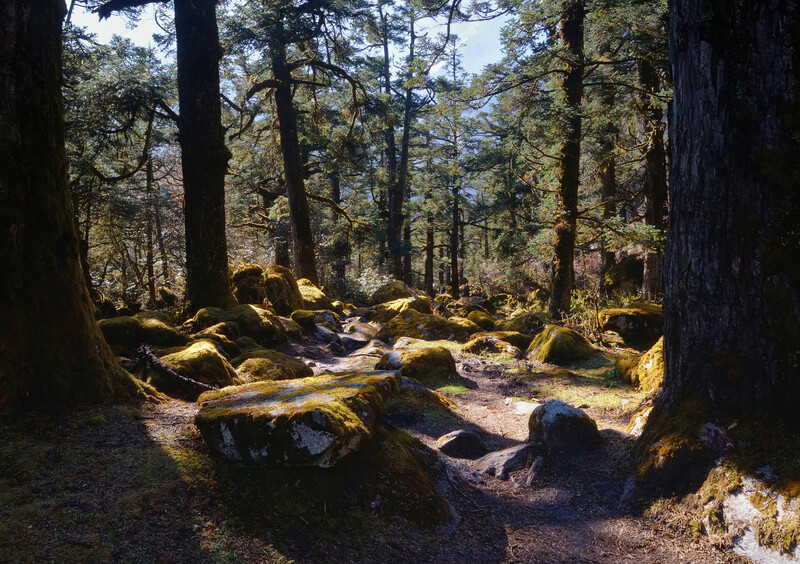 Th only drawback is that 40 tennis balls are bulky. 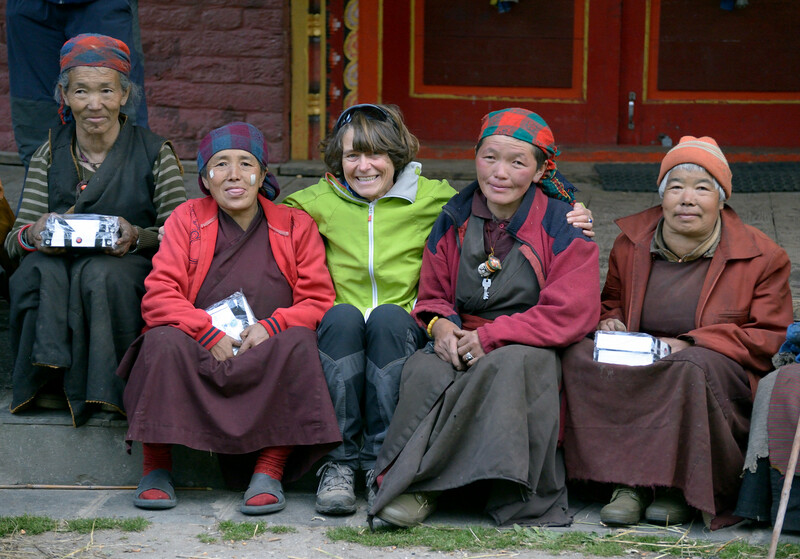 solar lights (4th photo): Val Pitkethly (centre) was our guide. 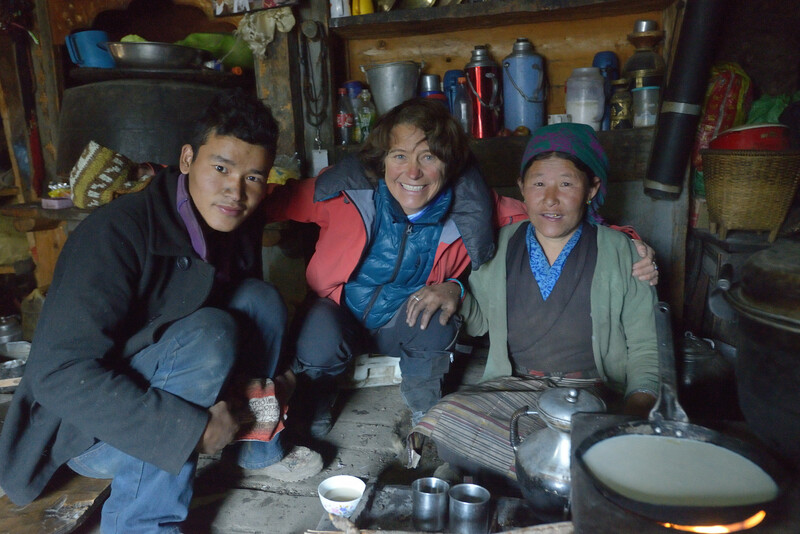 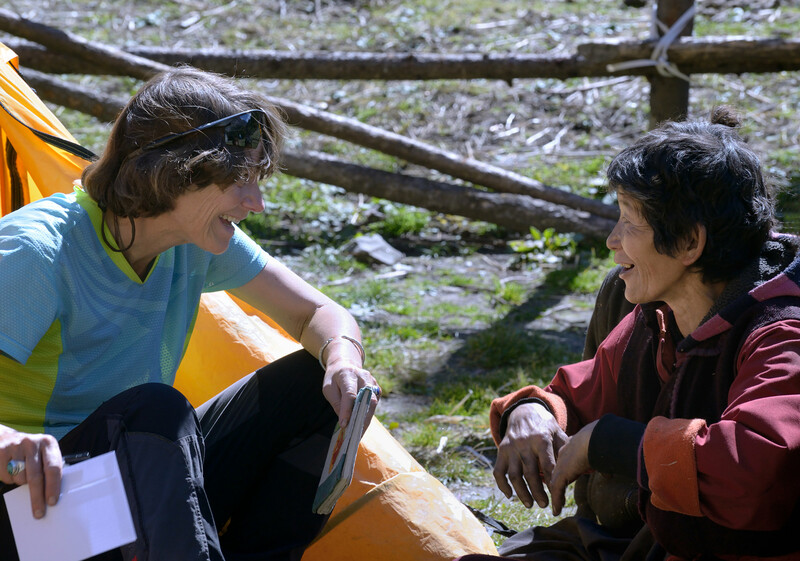 She also happens to be the founder of Light Education Development and used the opportunity of this trek to deliver solar lights to some areas on the trek. 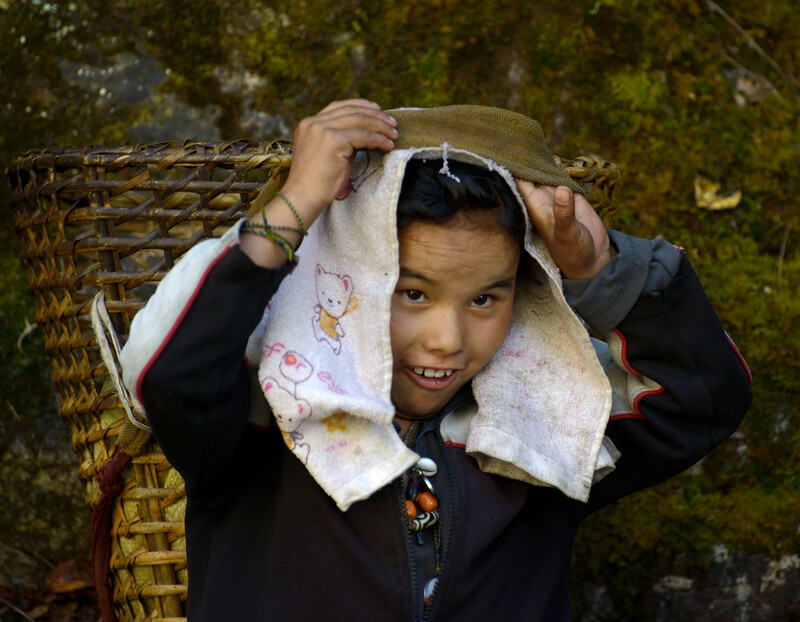 children with baskets: we met these two children (I think that the boy was 8 and the girl around 10) near Bihi. 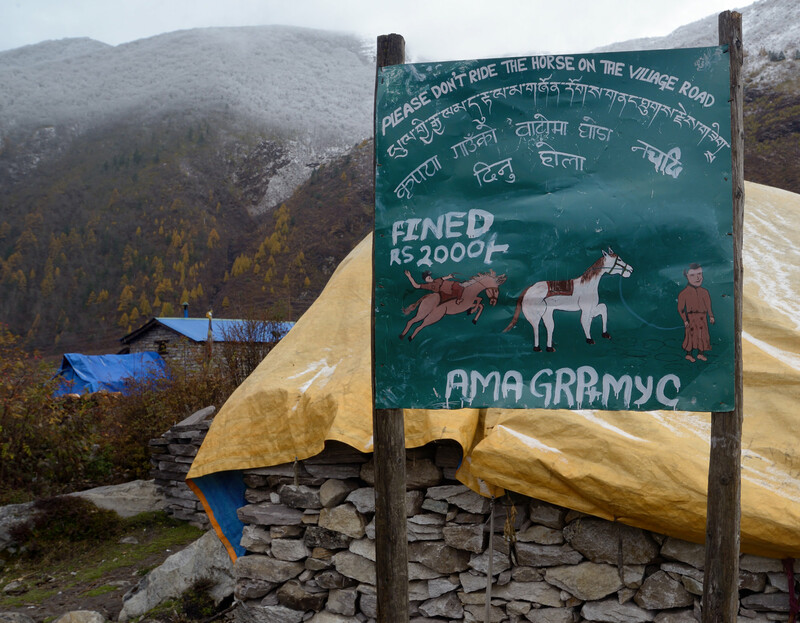 They were on a two days walk to the boarding school of Samagaon (another interesting video about this school is here). 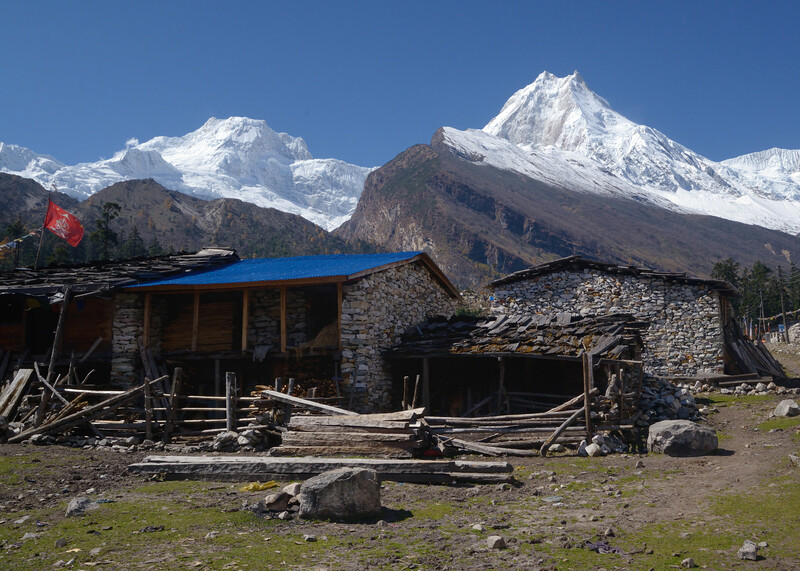 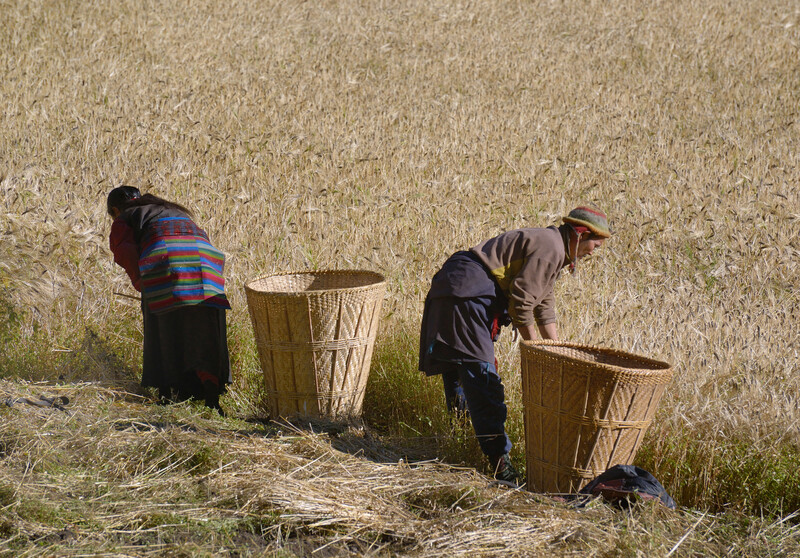 The school is supported by Nepal Seeds and is free but children still need to get themselves there. 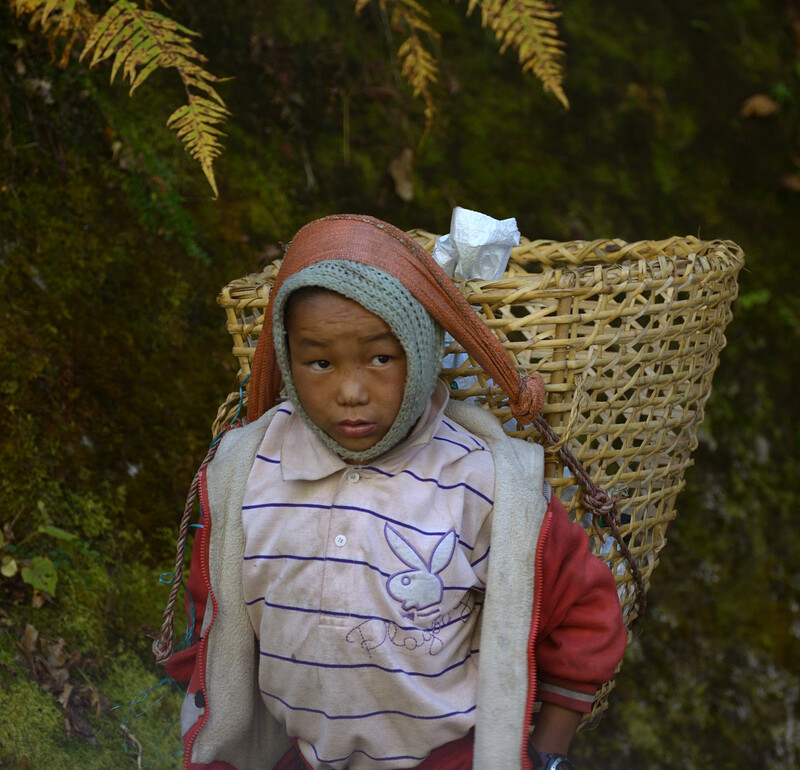 The baskets they were carrying weighed well over 10kg and the long walk was very hard for them. 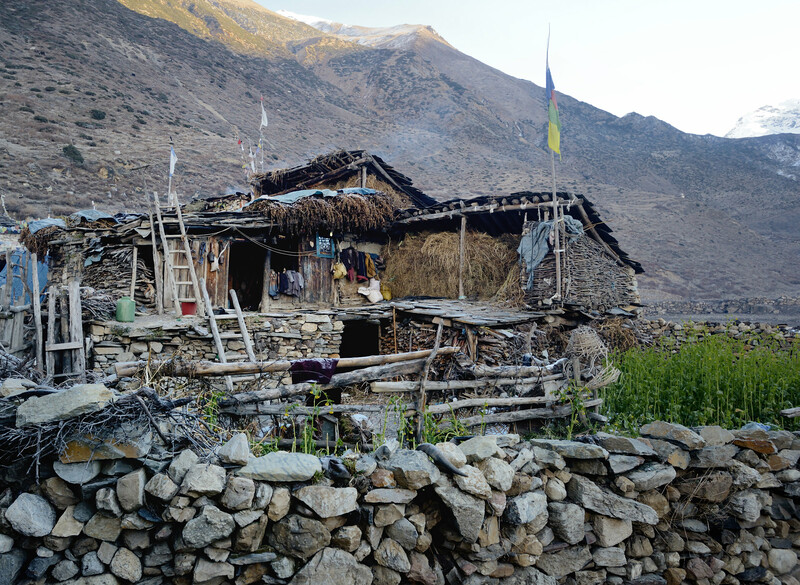 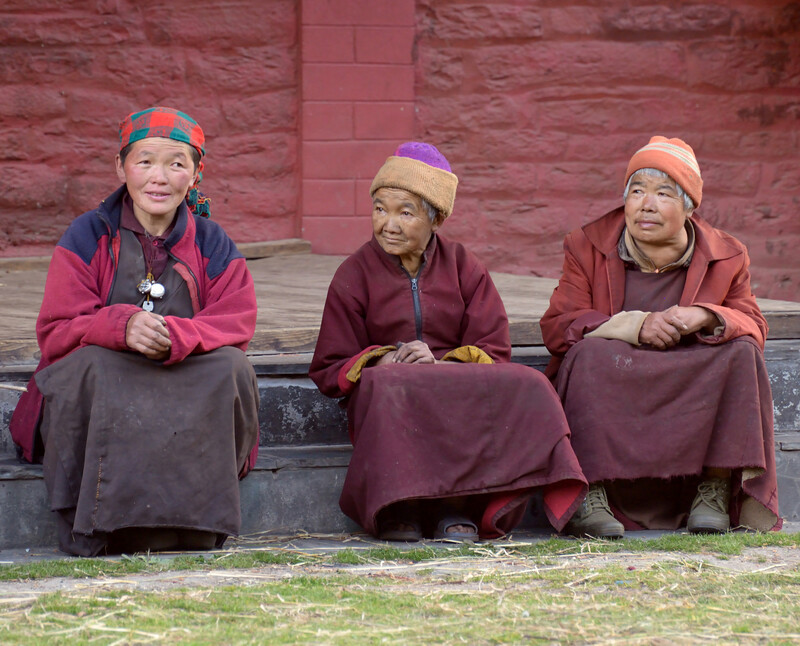 monks and villagers at Hinang Gompa: located in a side valley on the way to Himal Chuli Base Camp there is a small nunnery and a larger monastery (with a school) where we camped. 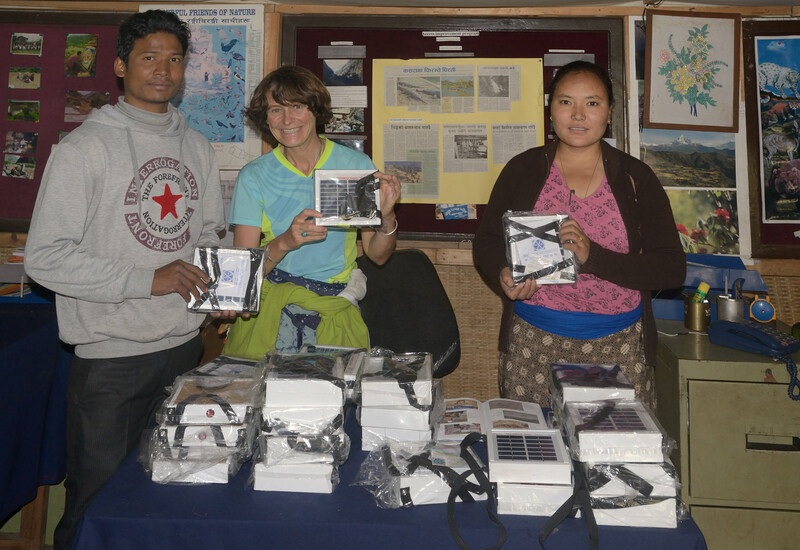 Val used the occasion to distribute some of the solar lights that had been brought here at an earlier date to the (mainly elderly) locals. 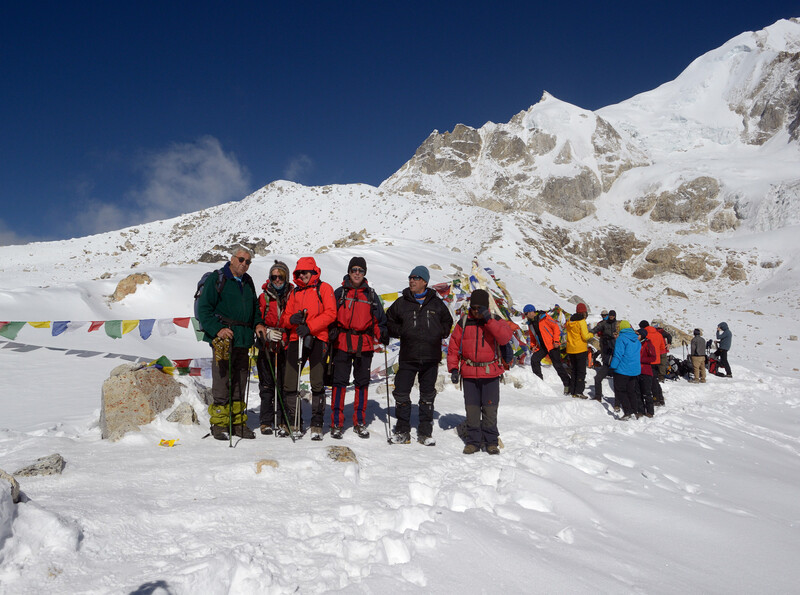 It all became a bit of an event and a good opportunity to take photos. 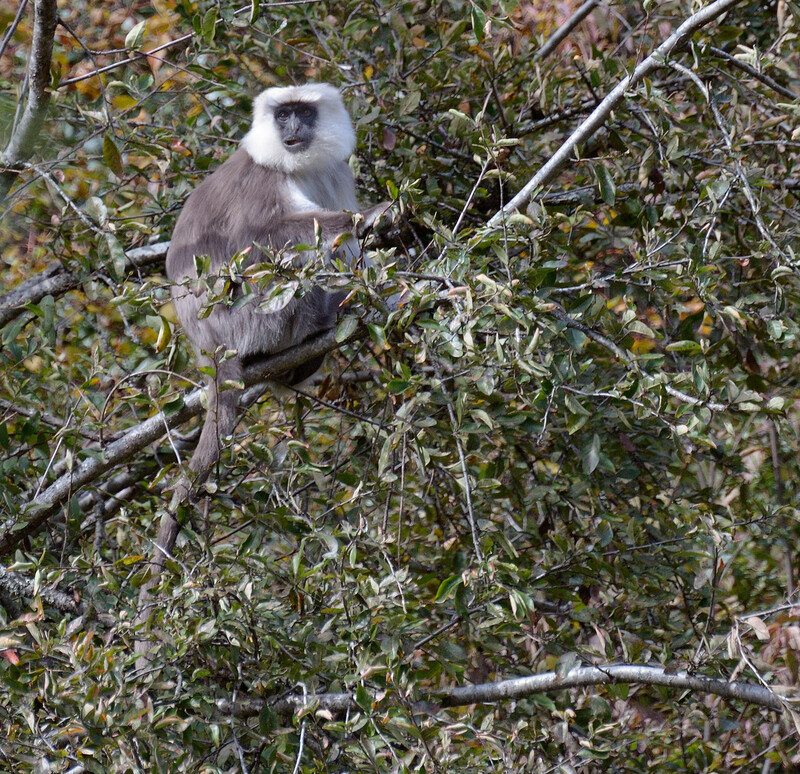 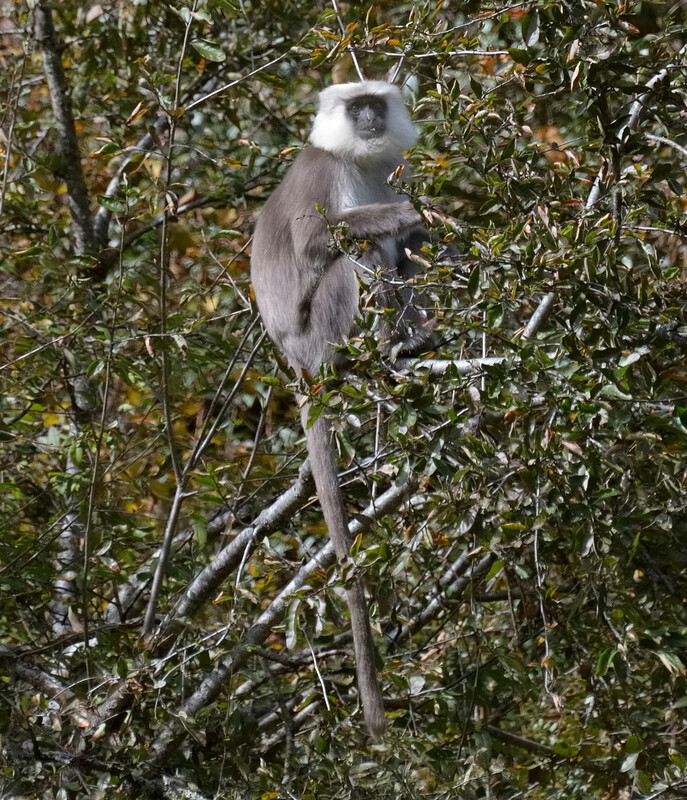 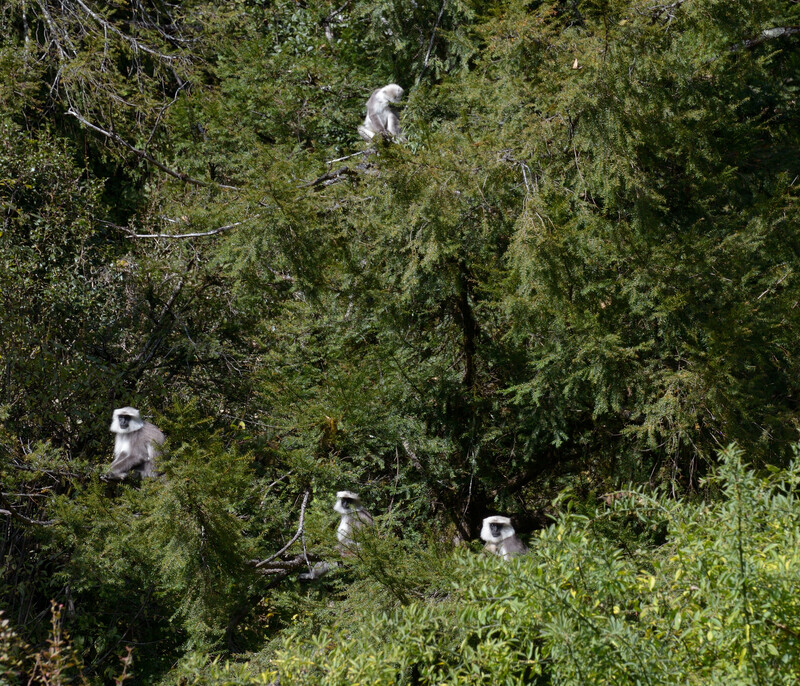 grey langur monkeys: if you pay attention you'll see quite a lot of them in the forests that border the trail. 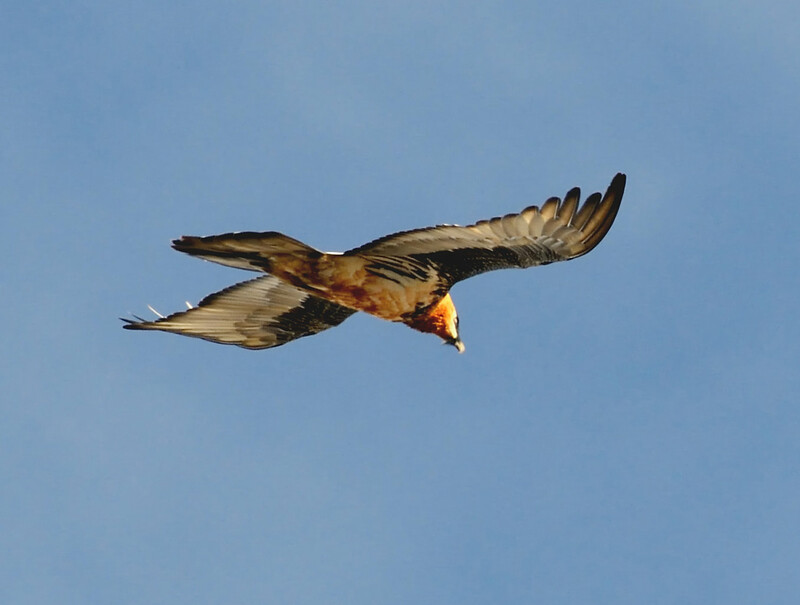 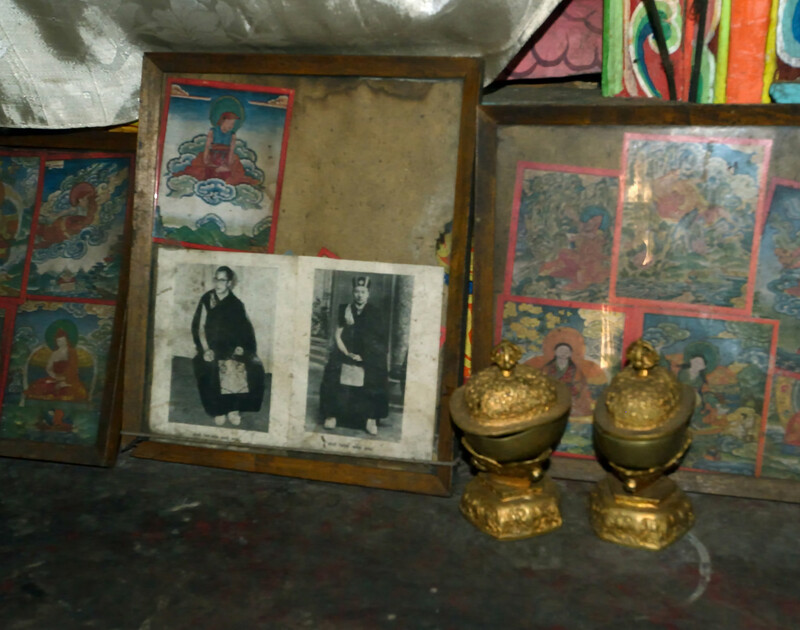 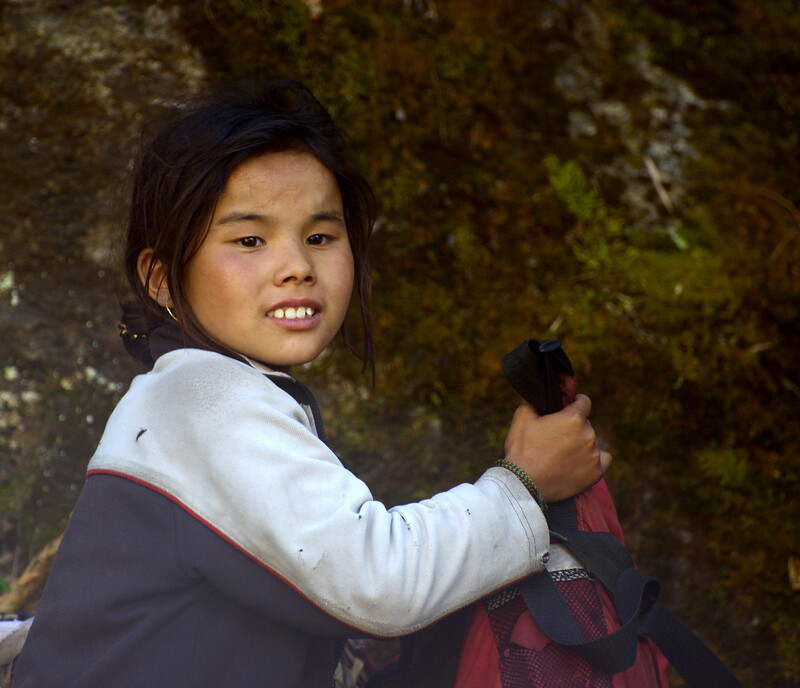 The photos here were taken in the forest below Bimthang. 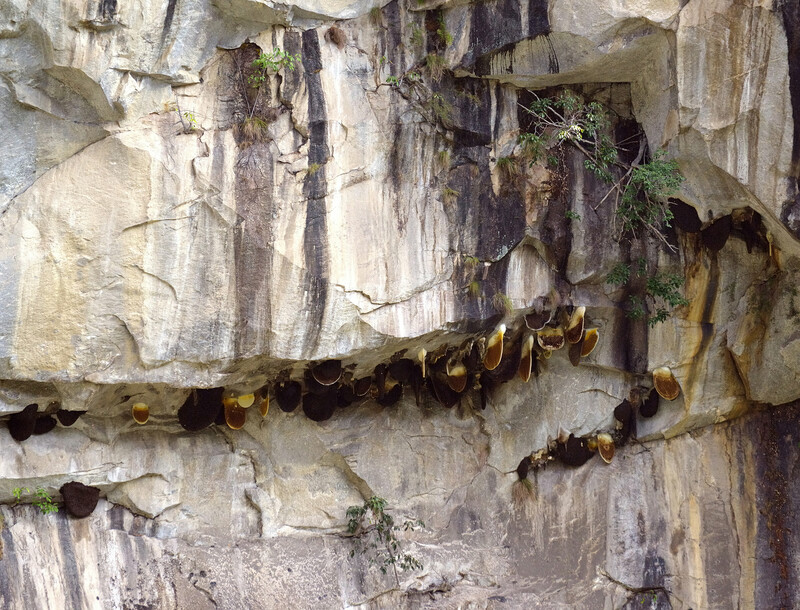 wild bees nests: you can see them quite often in cliffs. 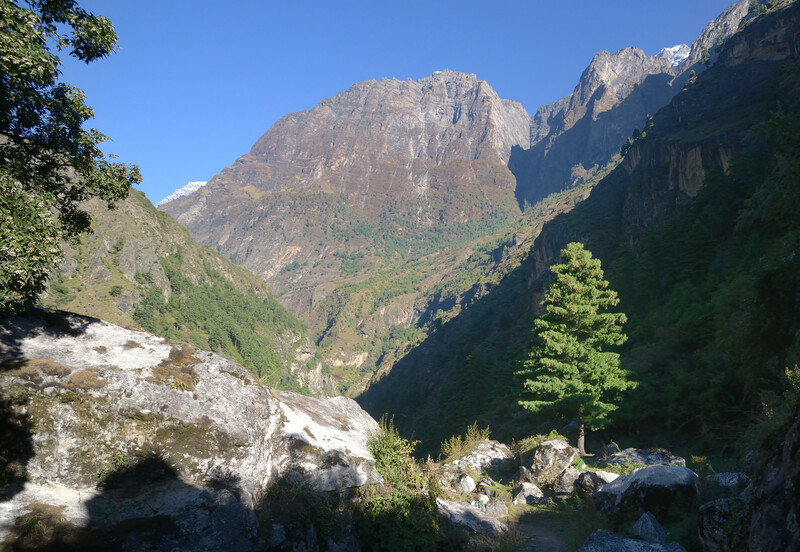 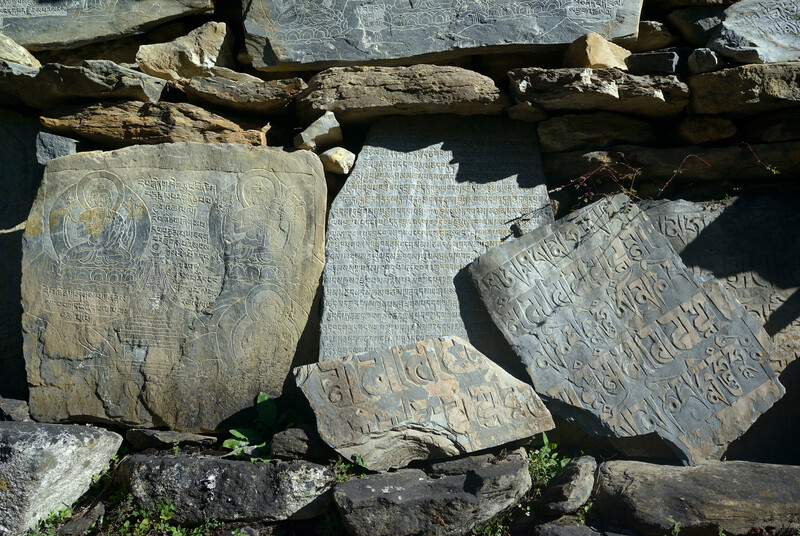 These ones were located a little before reaching Jagat (that's the Jagat on the Annapurna Circuit, not the one on the Manaslu Circuit) and were the largest I've seen.